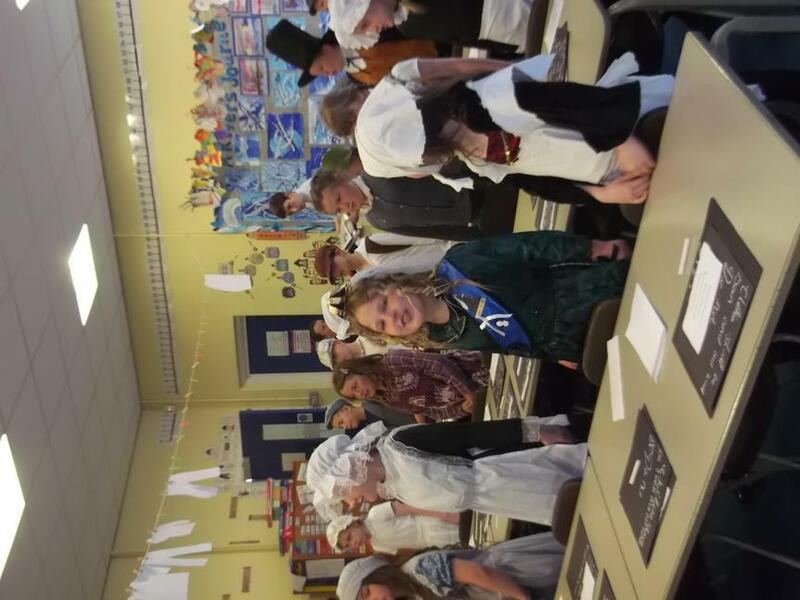 Our class teacher is Miss Riding and we are supported by Miss Stokes, Mrs Lee, Miss Lord, Mrs Smithies, Mrs Smith and Mrs Harris. 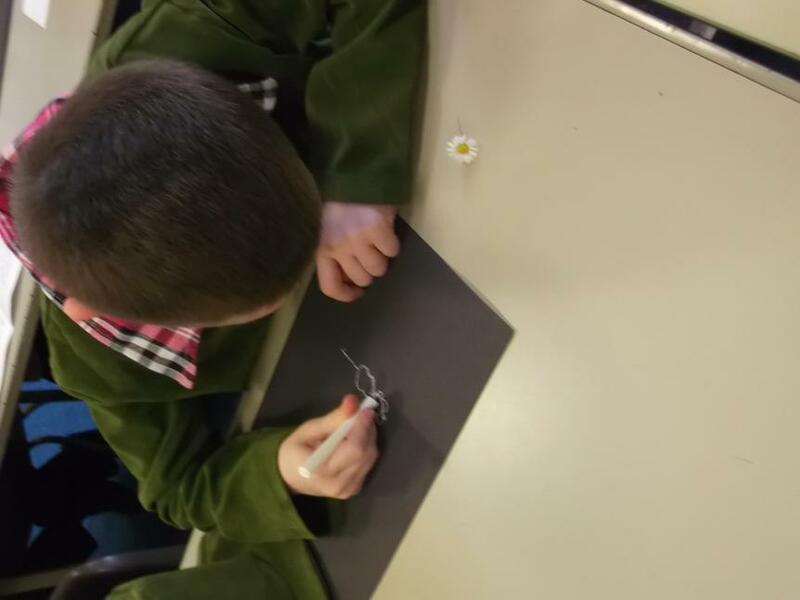 There are 29 children in our class. 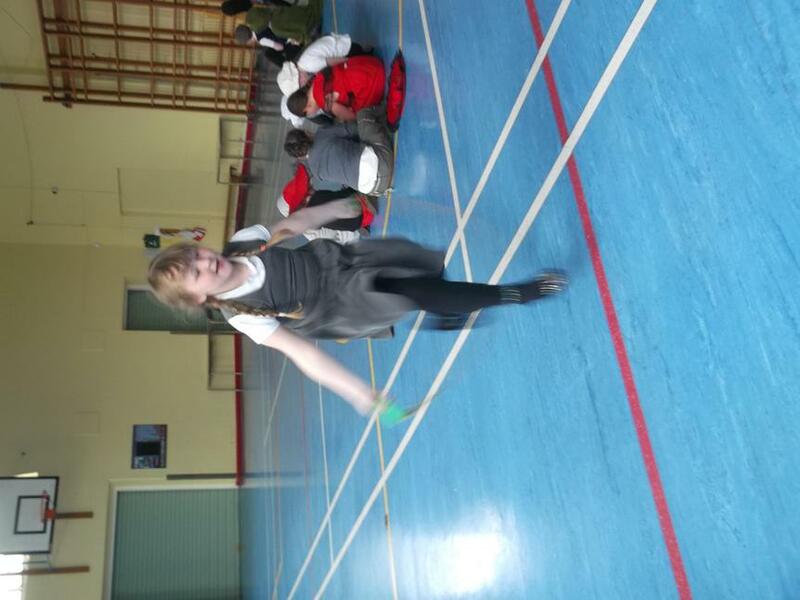 Our PE days are Monday and Wednesday so please ensure correct PE kit is in on these days. 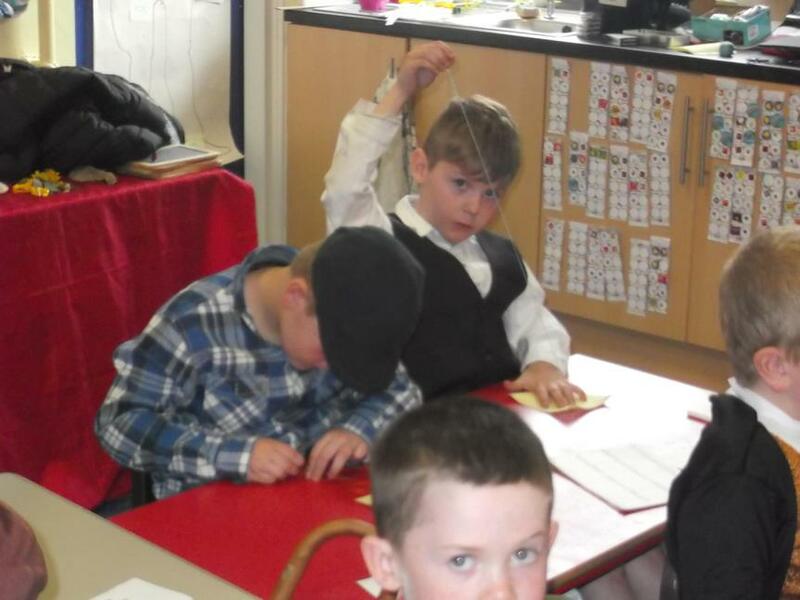 Homework is sent out on a Monday and is to be returned on a Friday. 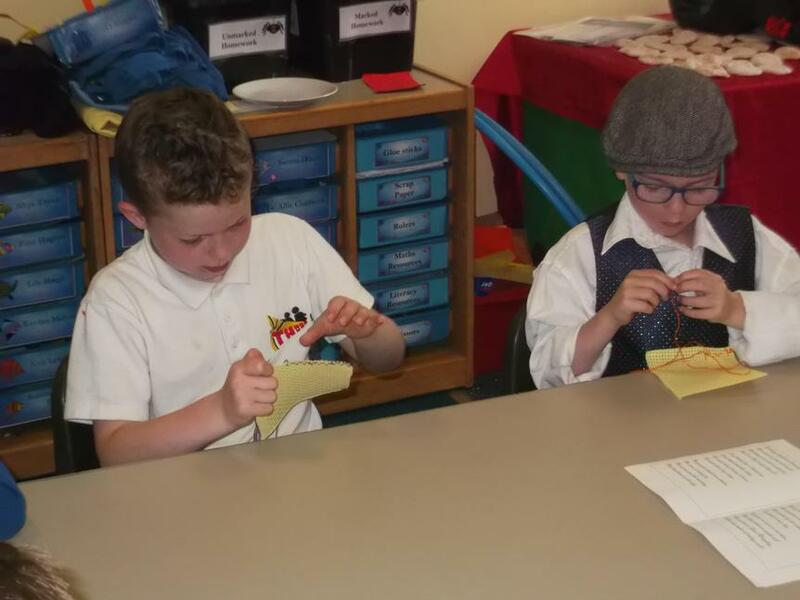 For those children wanting extra support with homework why not join our homework club on a Thursday evening with Mrs Tighe and Miss Lord. 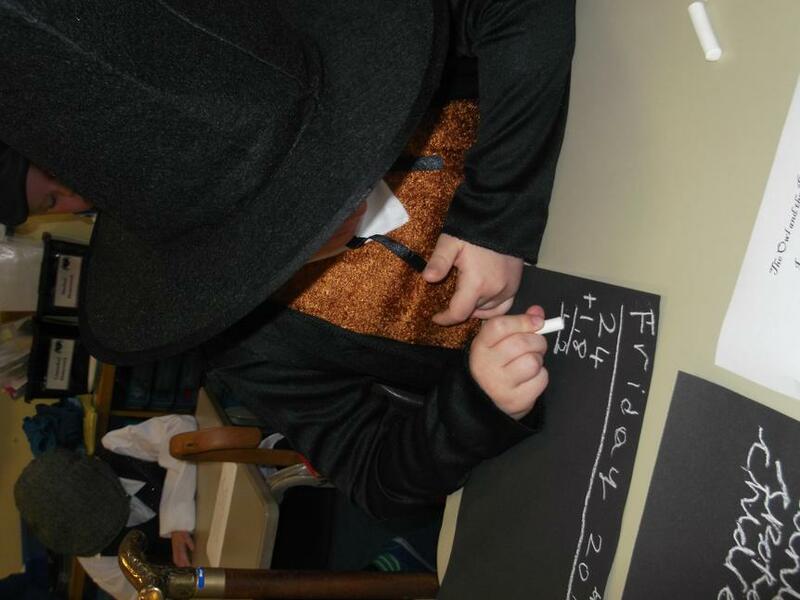 The children will bring home spellings on a Friday to practice with you for a test the following Monday. 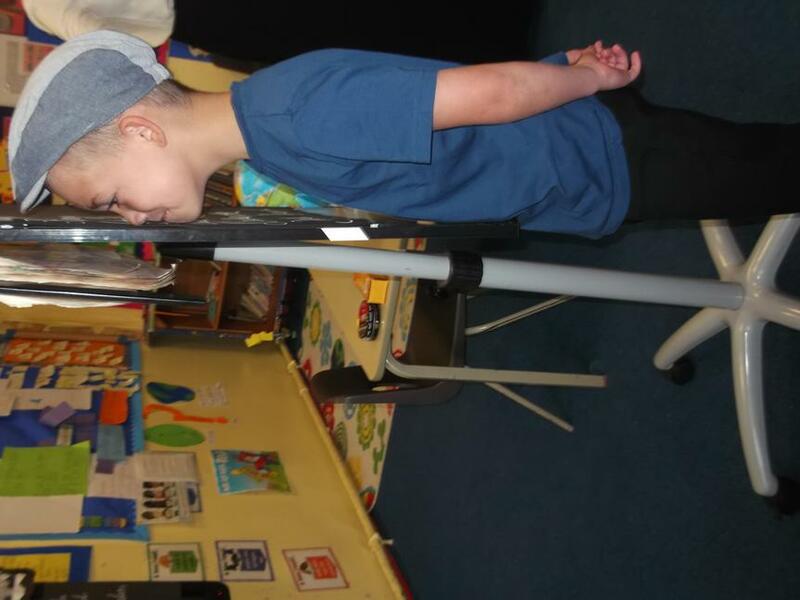 Home reading books are changed on a Monday, Wednesday and Friday and children are also able choose a book from the School library on a Monday afternoon. 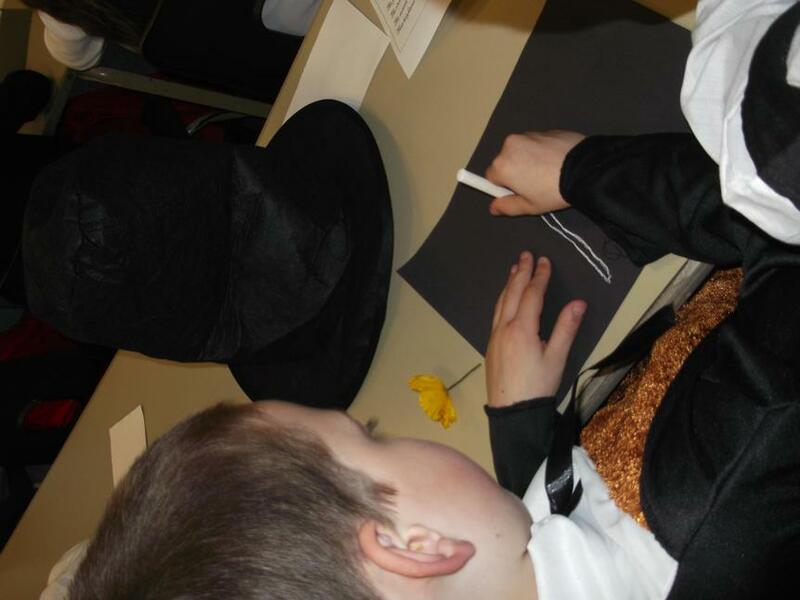 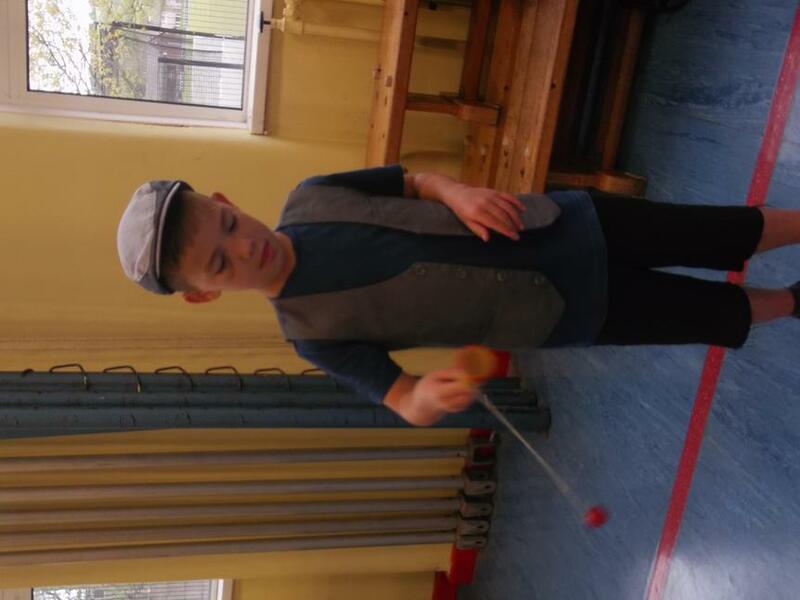 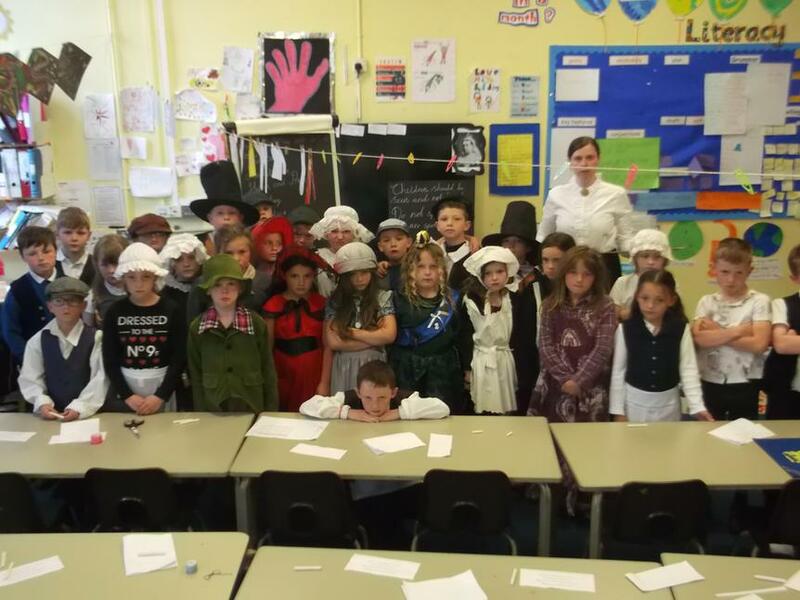 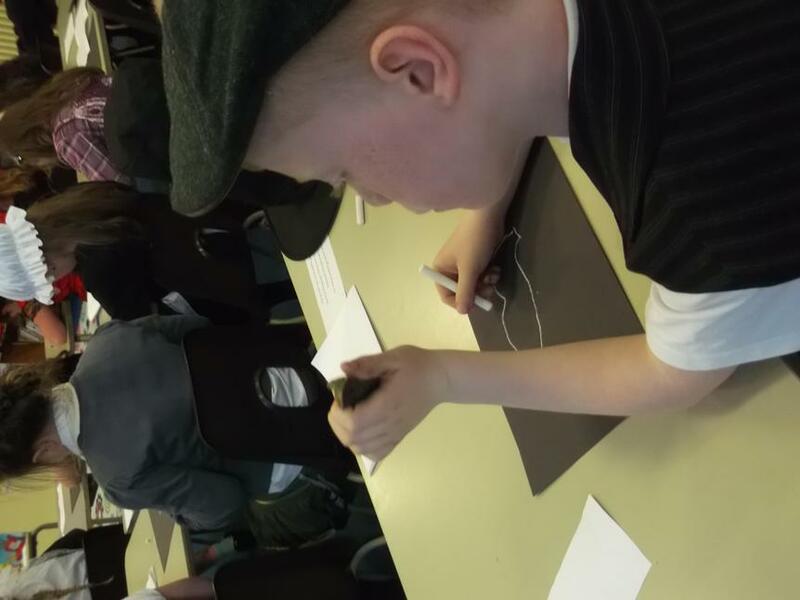 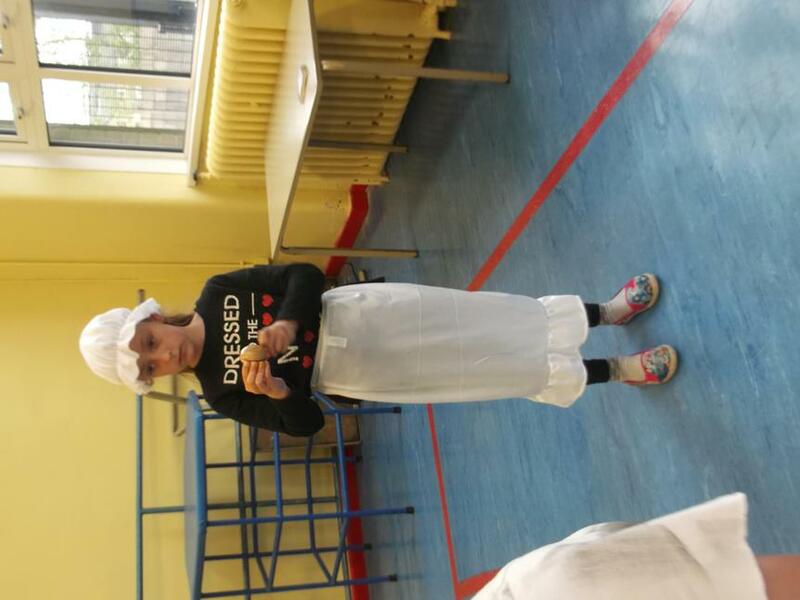 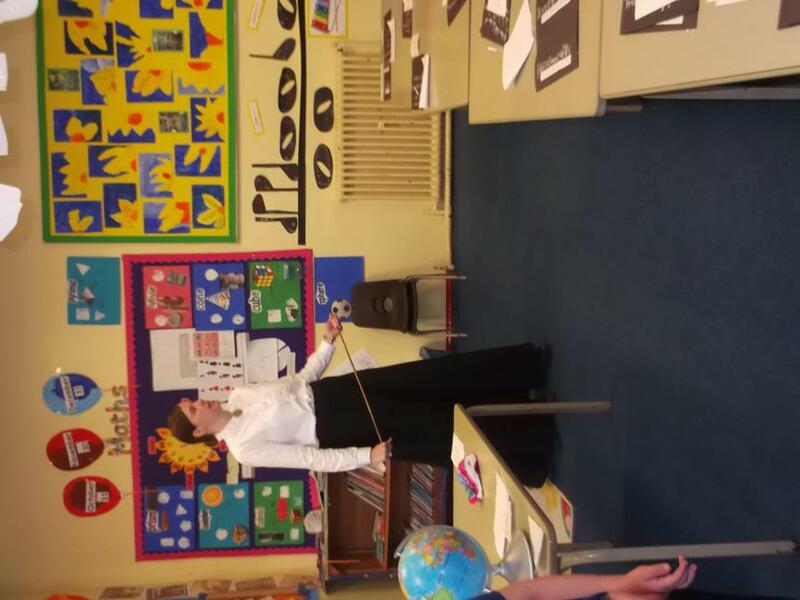 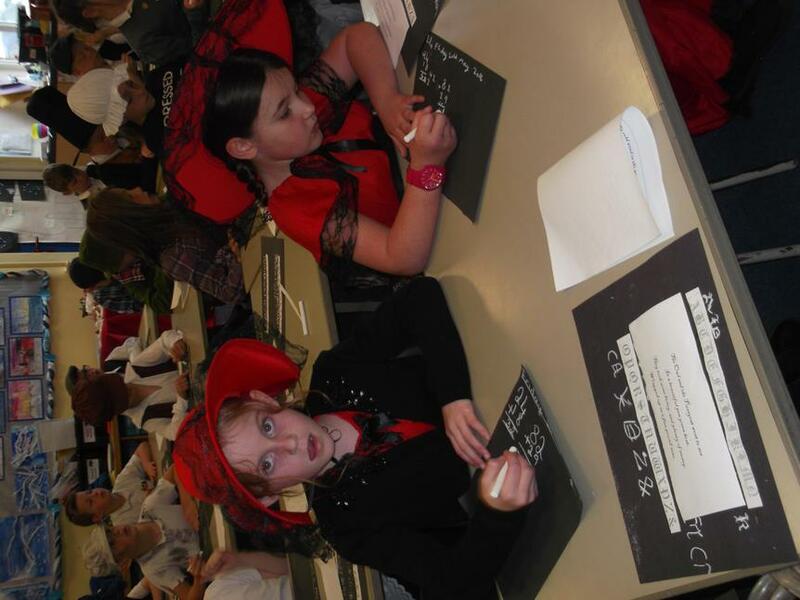 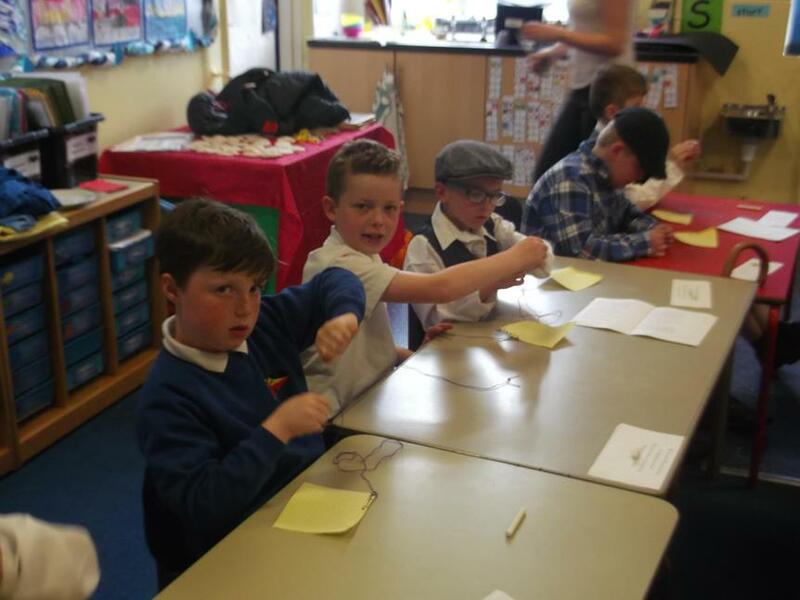 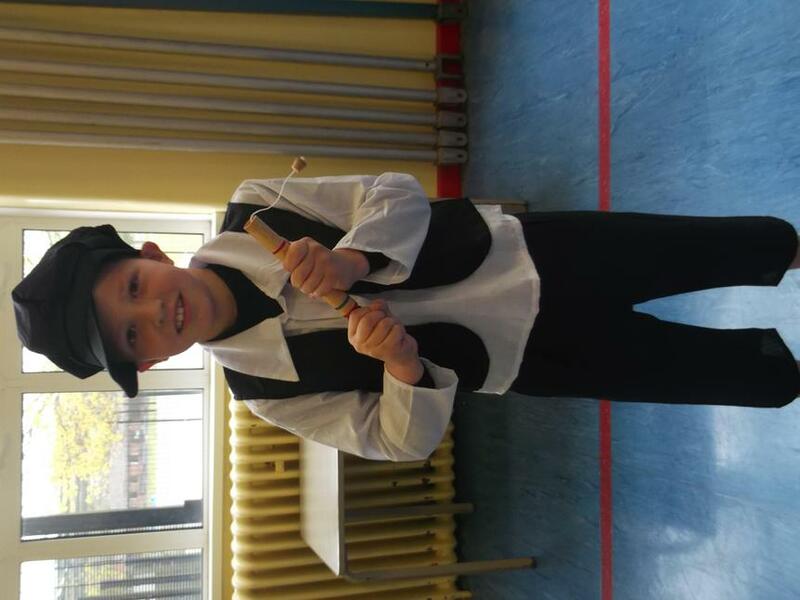 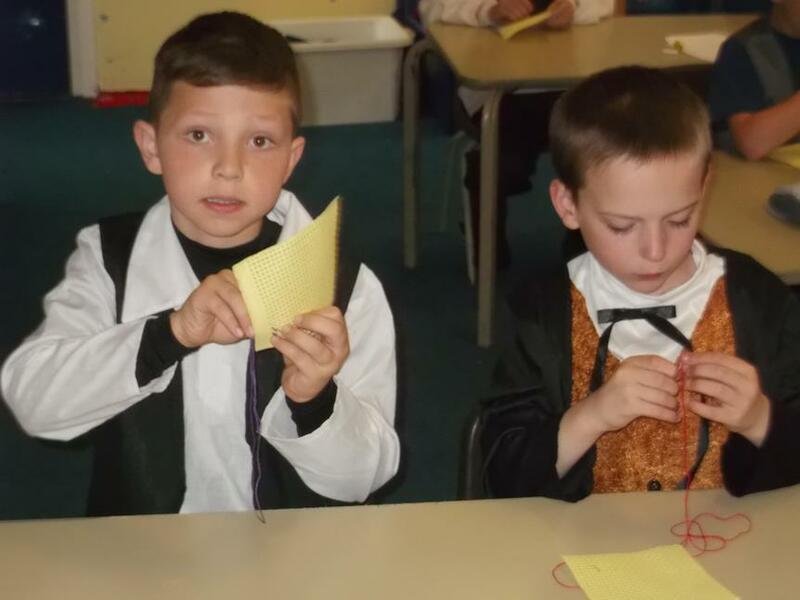 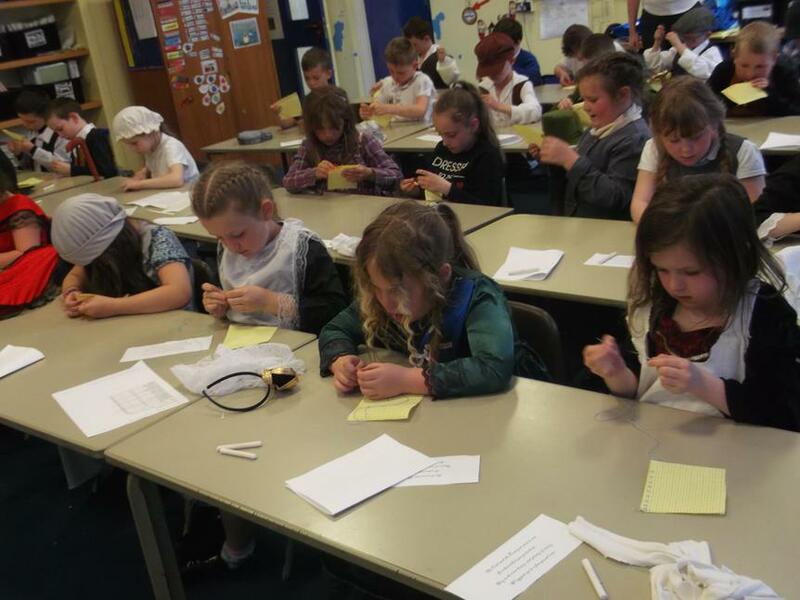 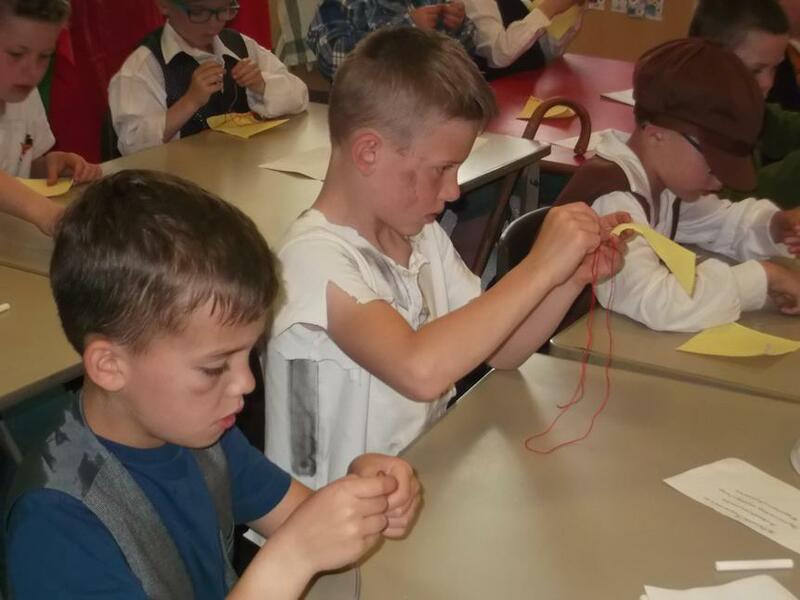 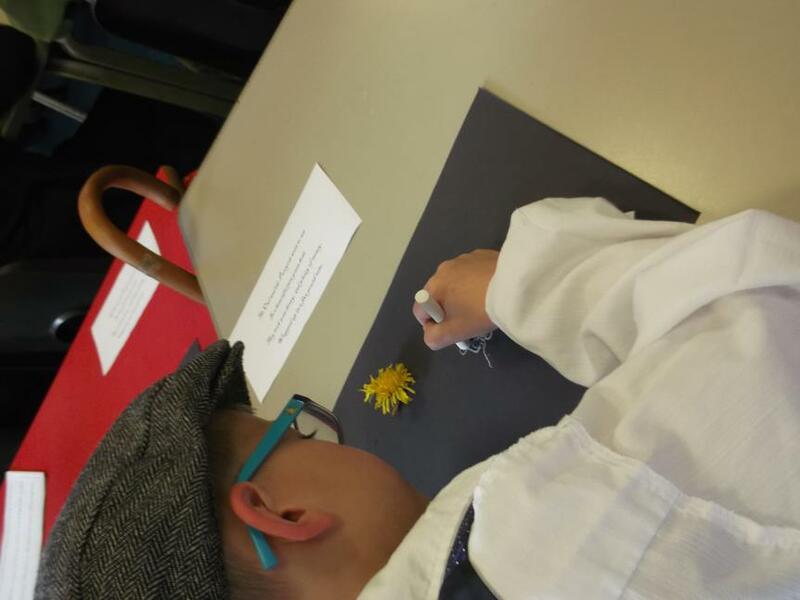 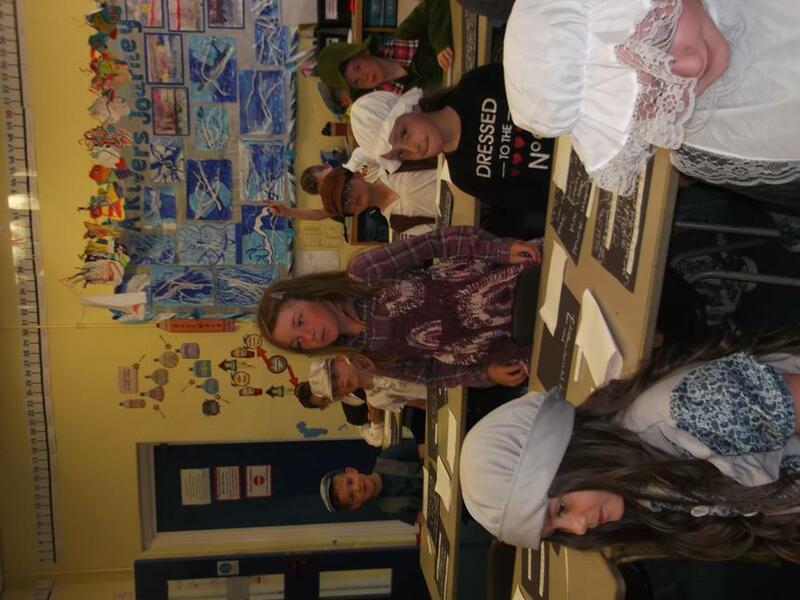 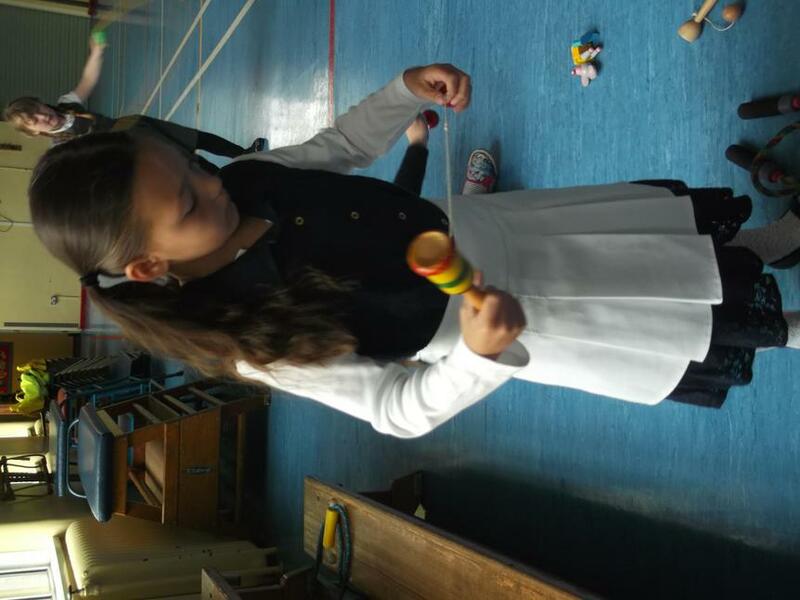 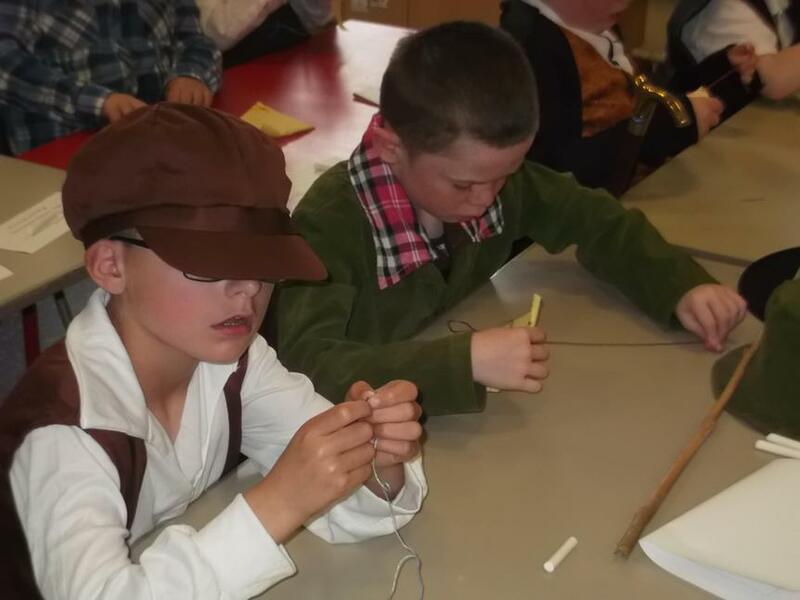 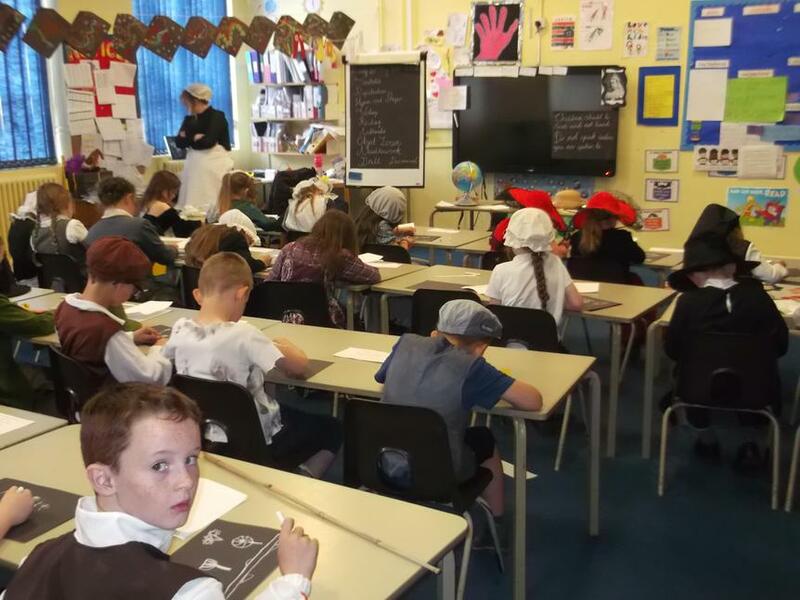 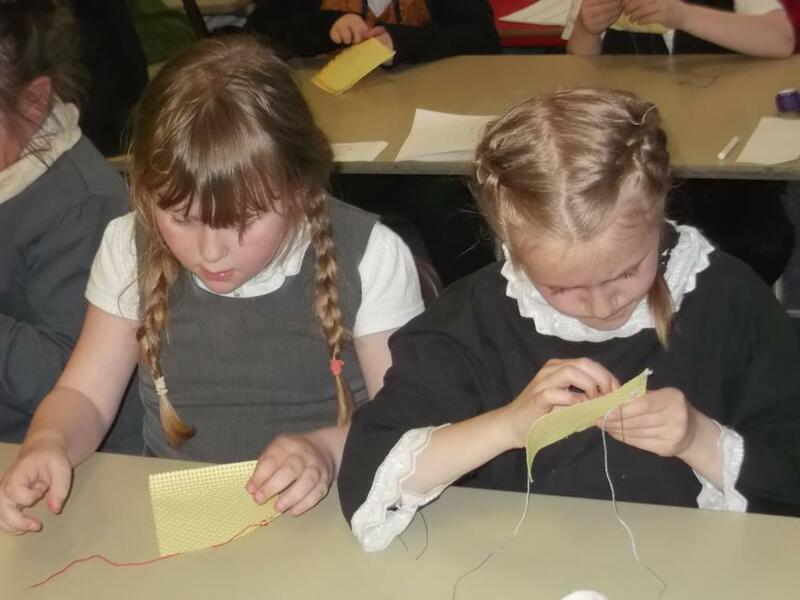 We all had a super day during our Victorian School Day. 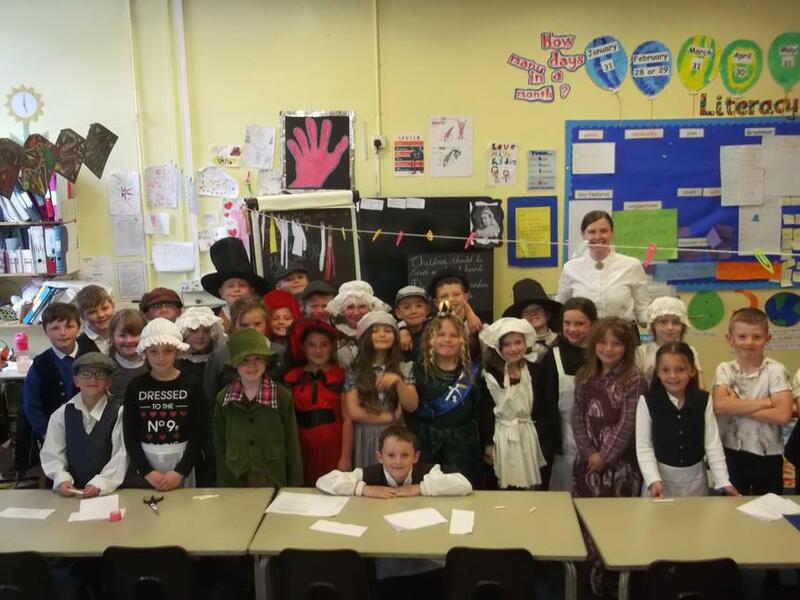 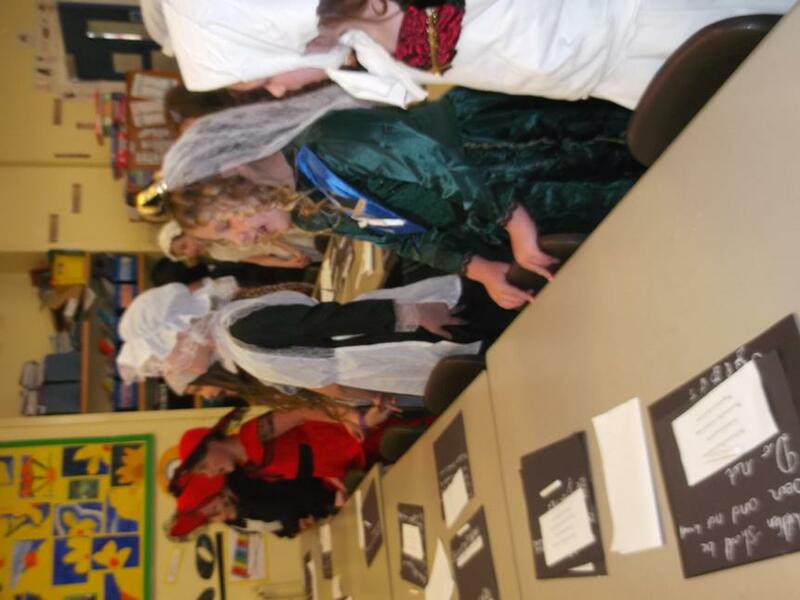 The children all looked fantastic so thank you to all parents for taking the time to make a costume! 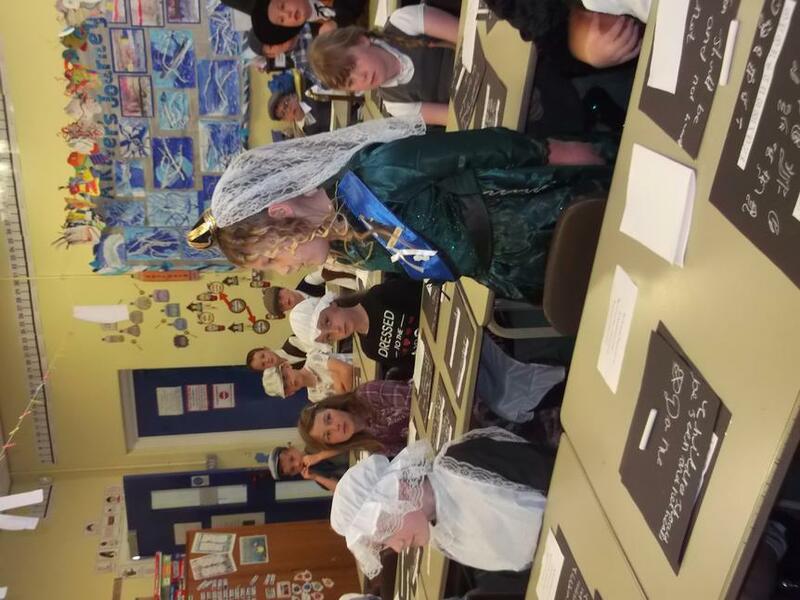 Miss Riding was very strict that day and the children were not allowed to talk! 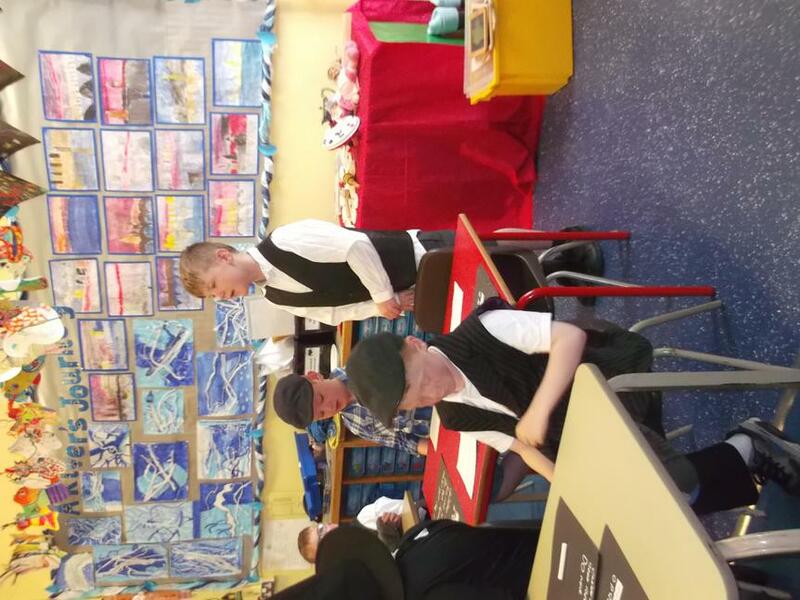 They had a morning inspection to check they were clean and tidy followed by a hymn and a prayer. 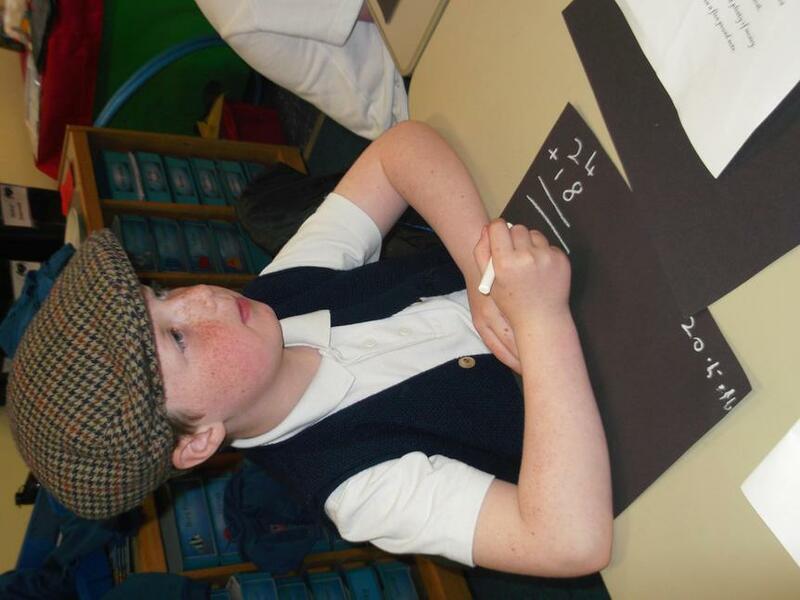 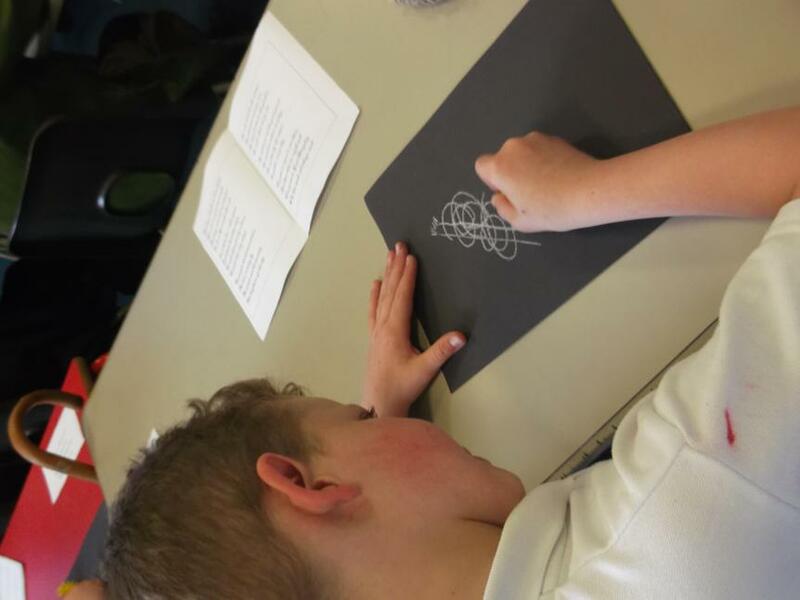 Next the children practiced their handwriting in their copybooks before learning some moral lessons such as 'children should be seen and not heard.". 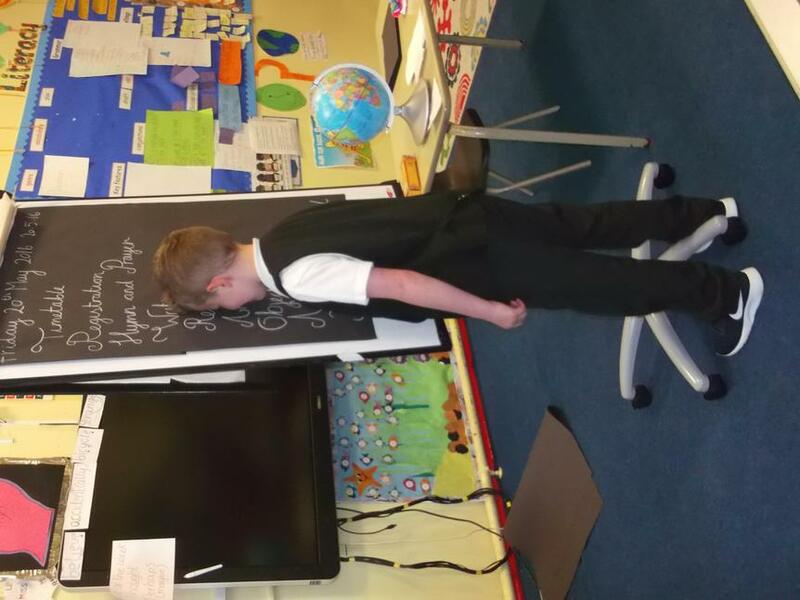 We chanted our times tables then went on a walk to collect an interesting object which we later drew on our chalk boards. 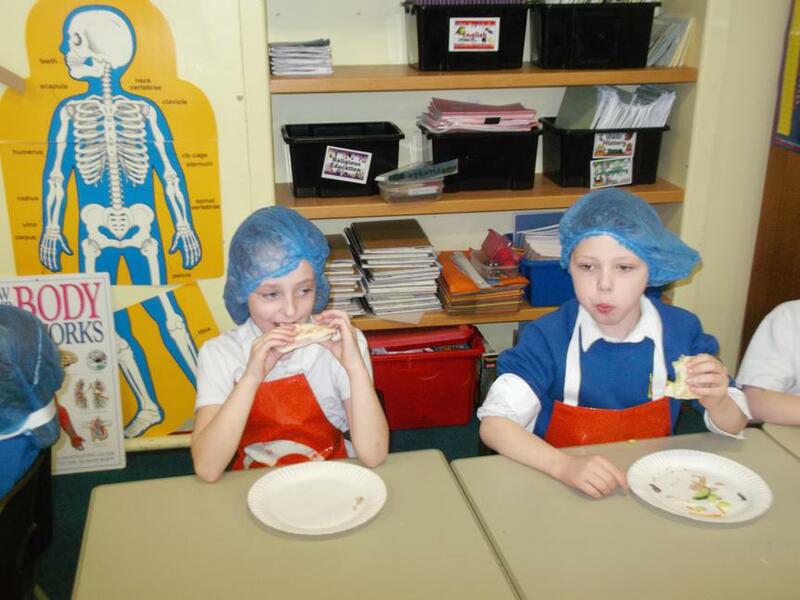 At lunchtime, we had to eat everything on our plate and ask before we left the table. 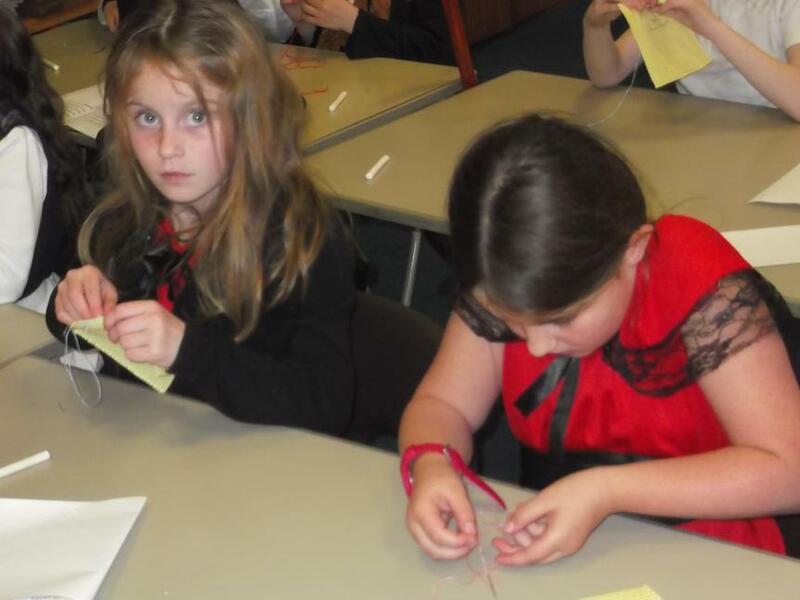 In the afternoon, we completed our needlework lesson and made some cross stitch samples. 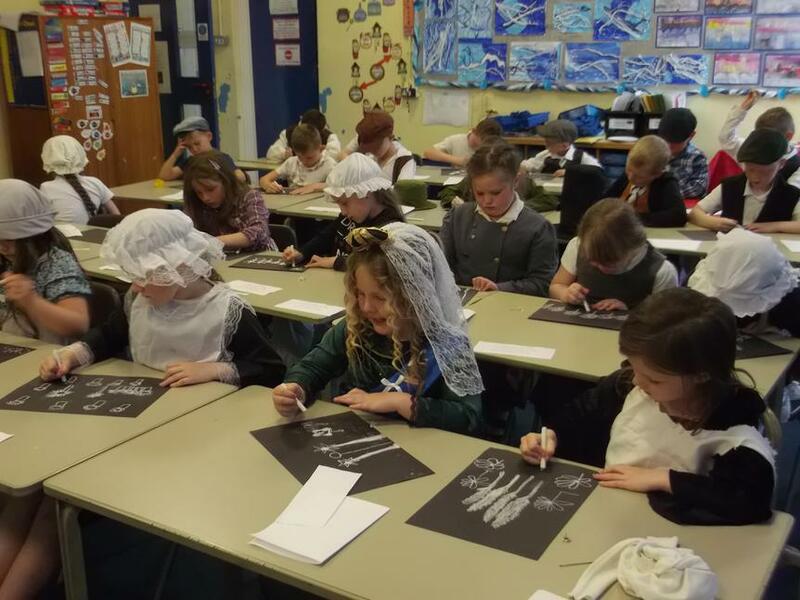 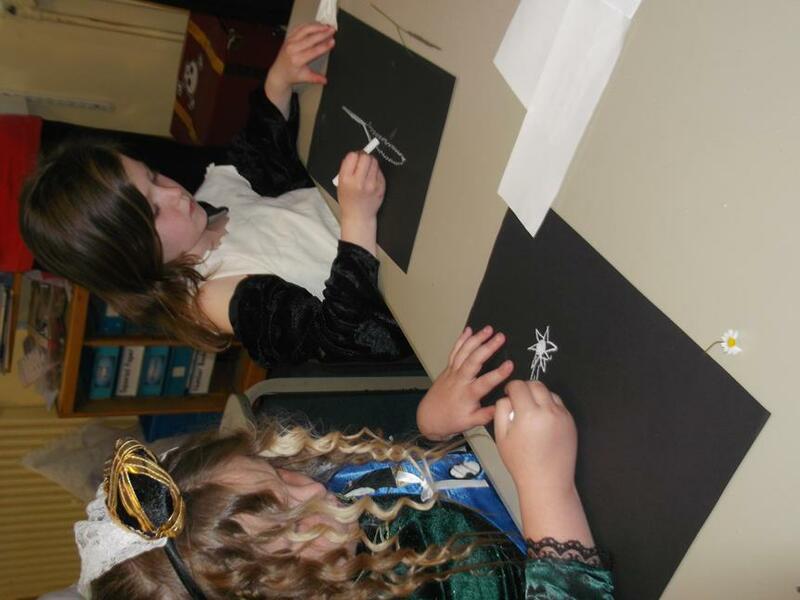 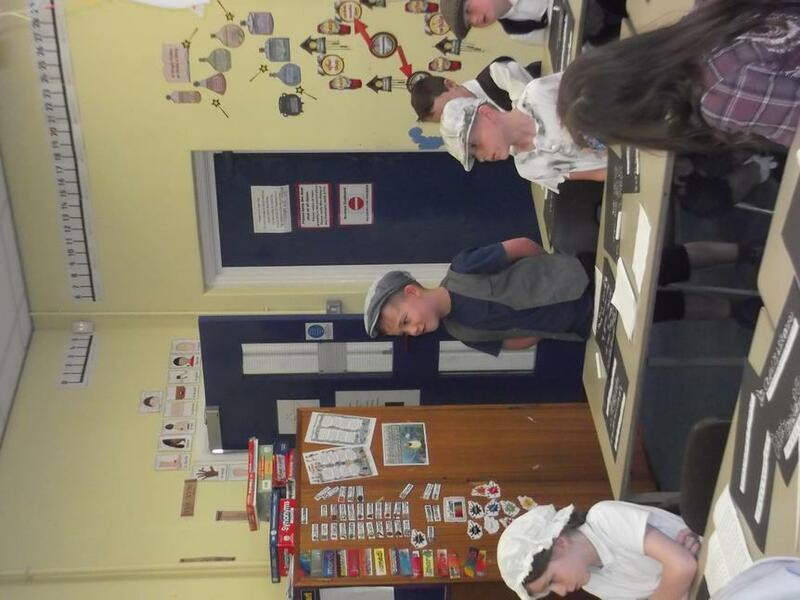 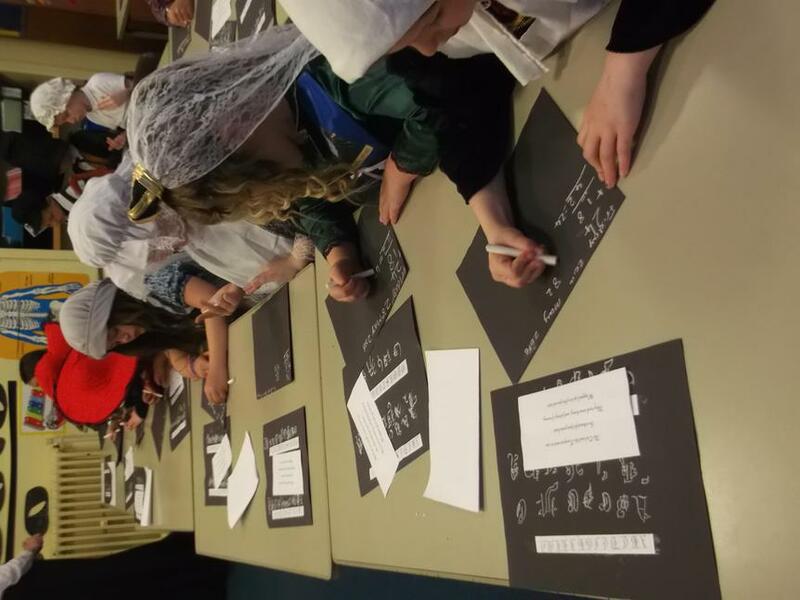 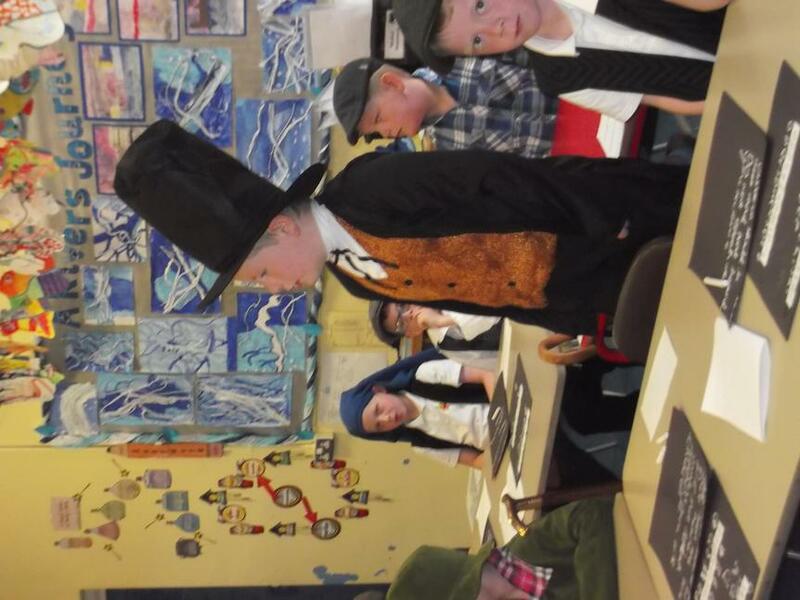 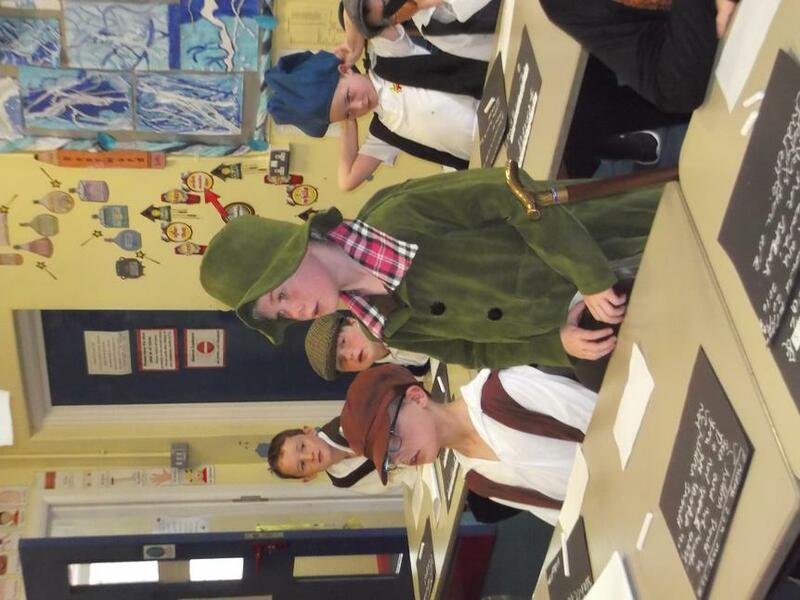 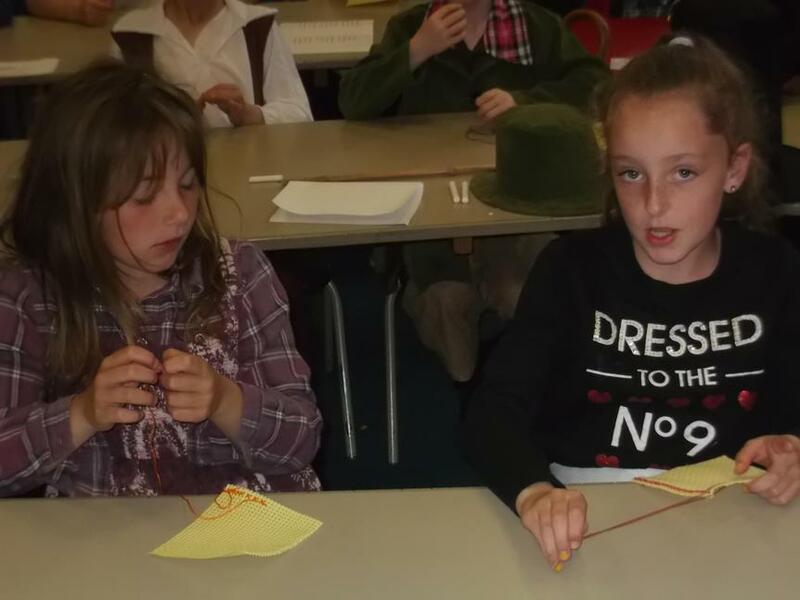 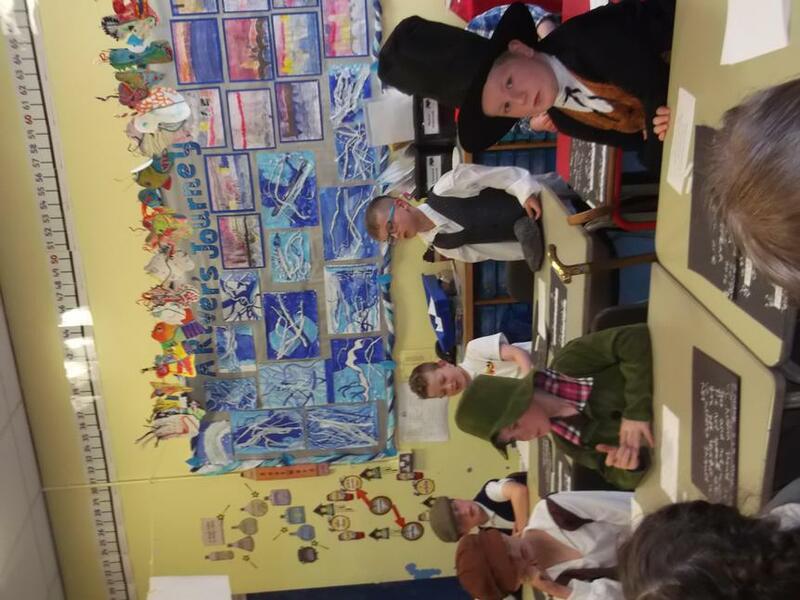 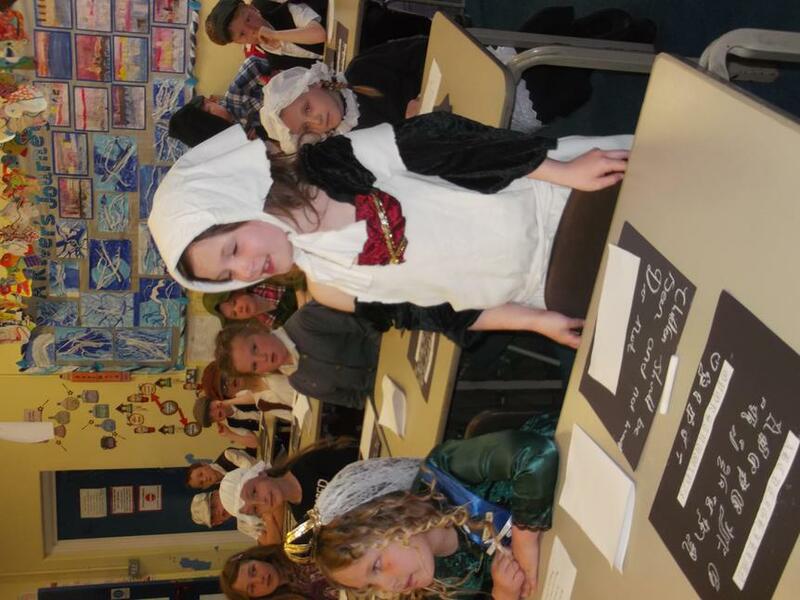 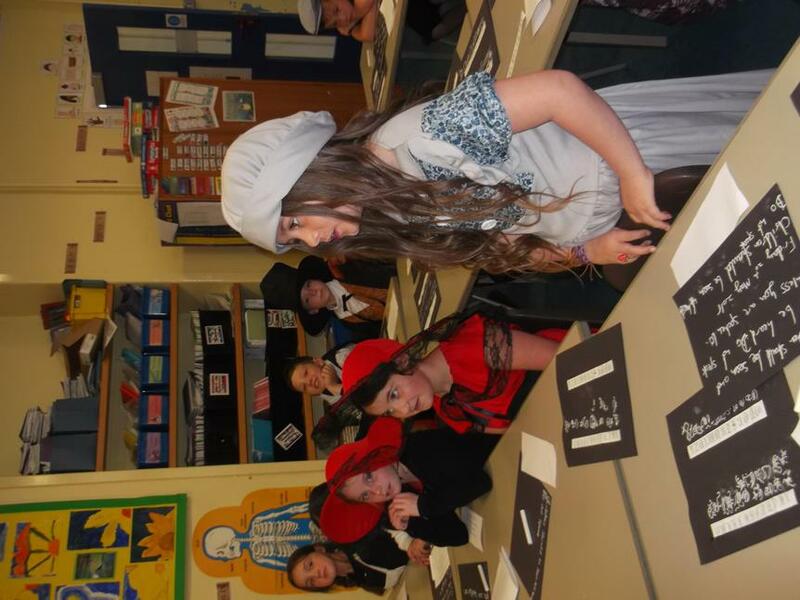 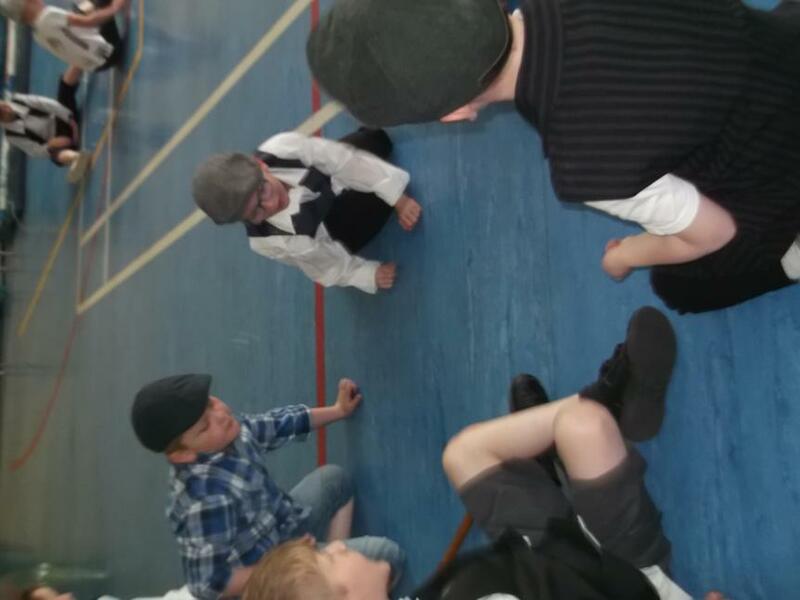 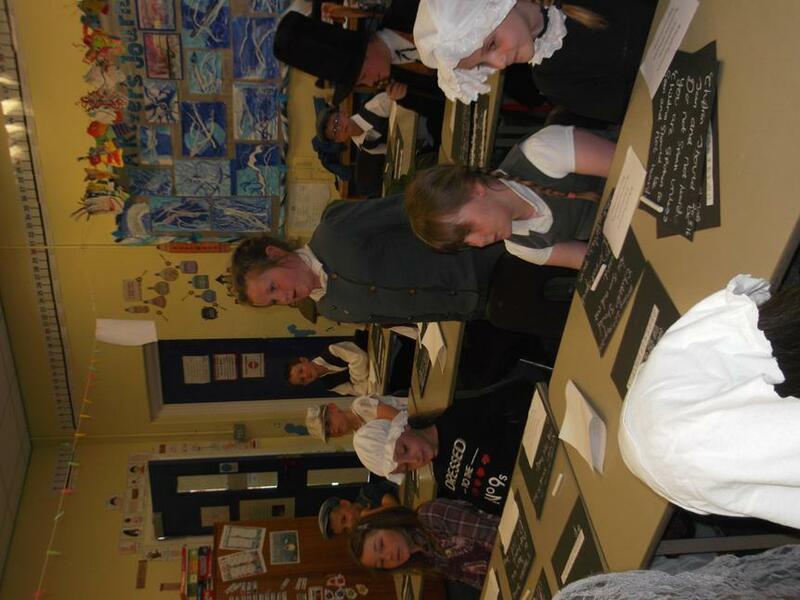 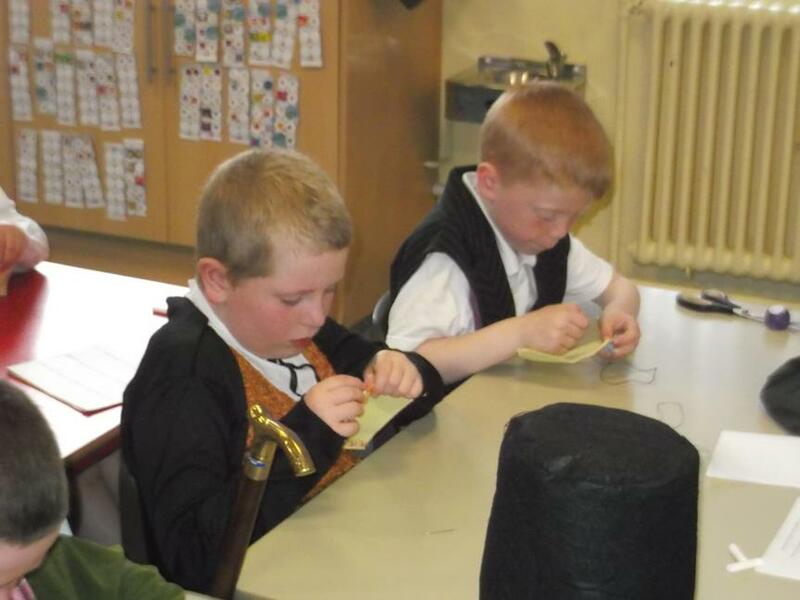 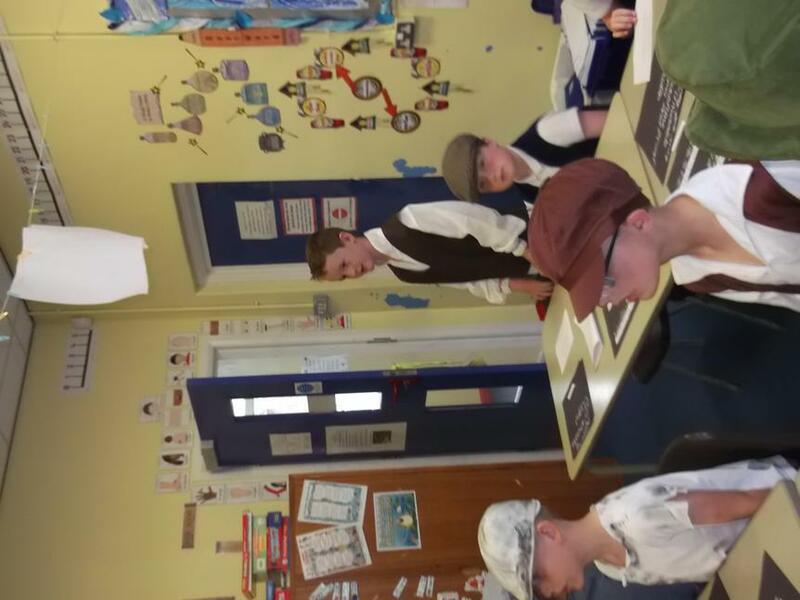 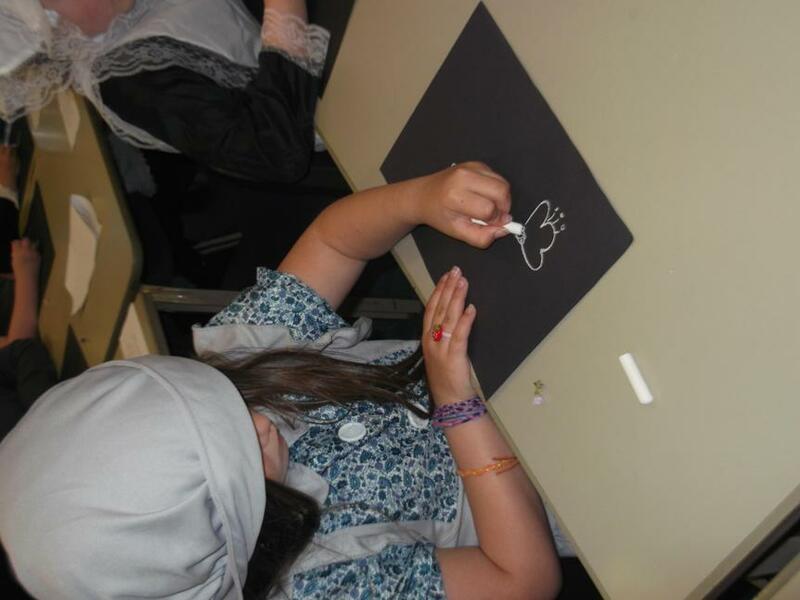 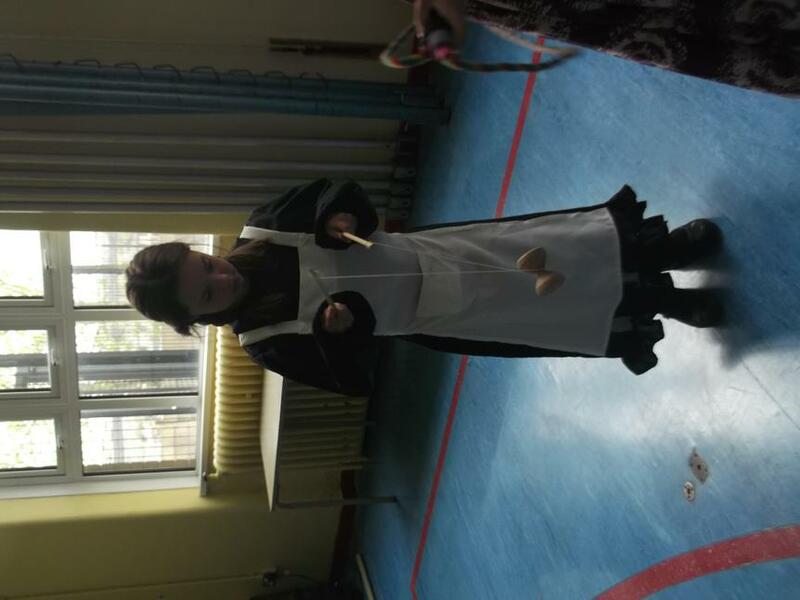 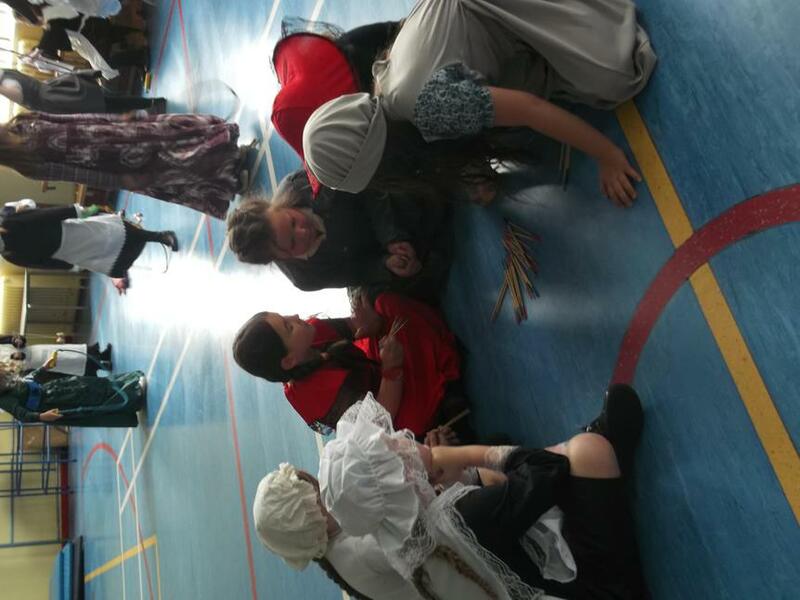 The children enjoyed it so much, they asked if every day could be a Victorian day! 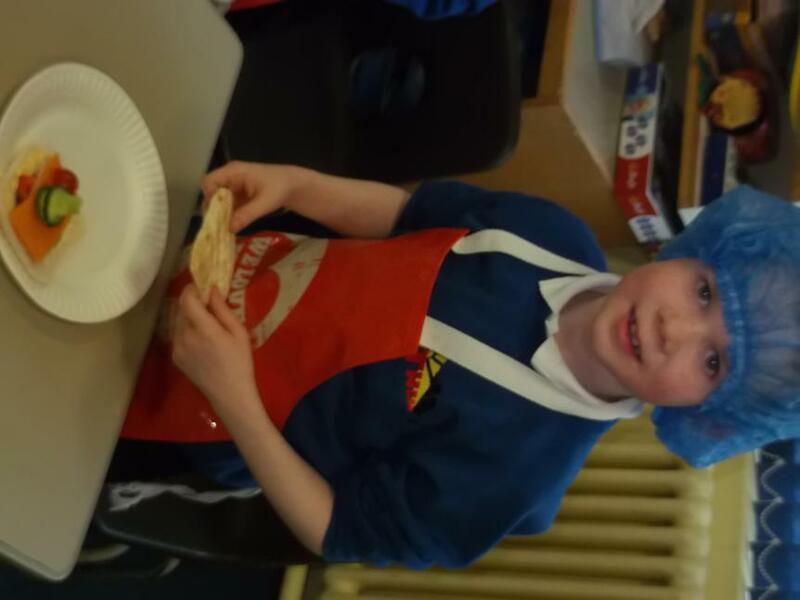 We have had a really busy term learning all about rivers, mountains and volcanoes. 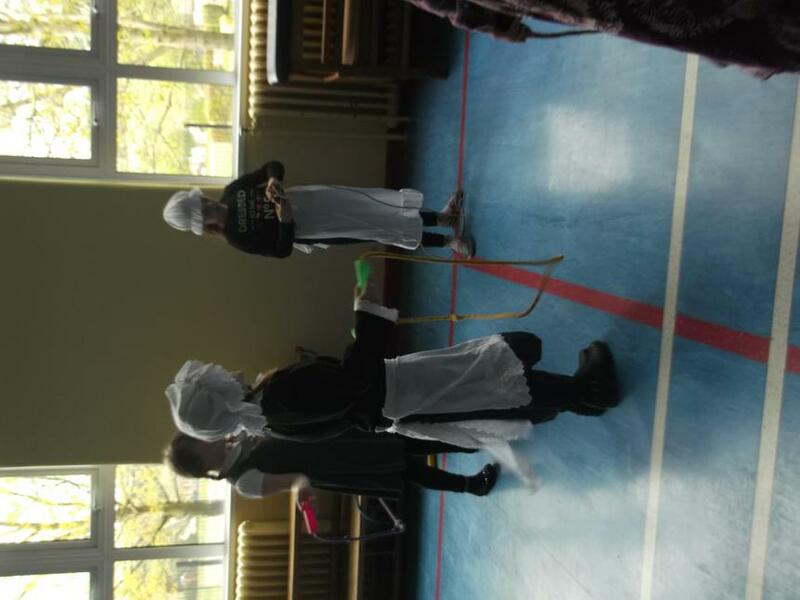 The children have done some drama work re-enacting the eruption of Mount Vesuvius. 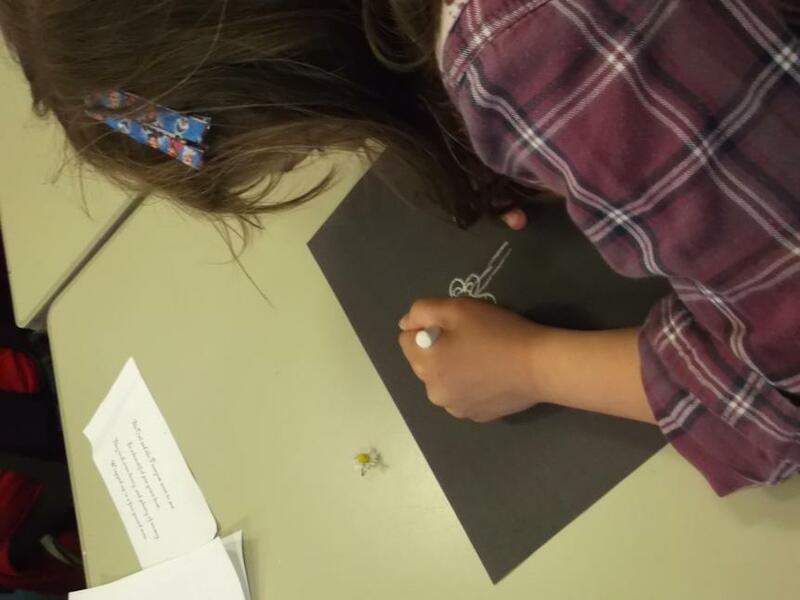 We created tissue paper pictures exploring the cross-section of a volcano and wrote a poem about a volcanic eruption. 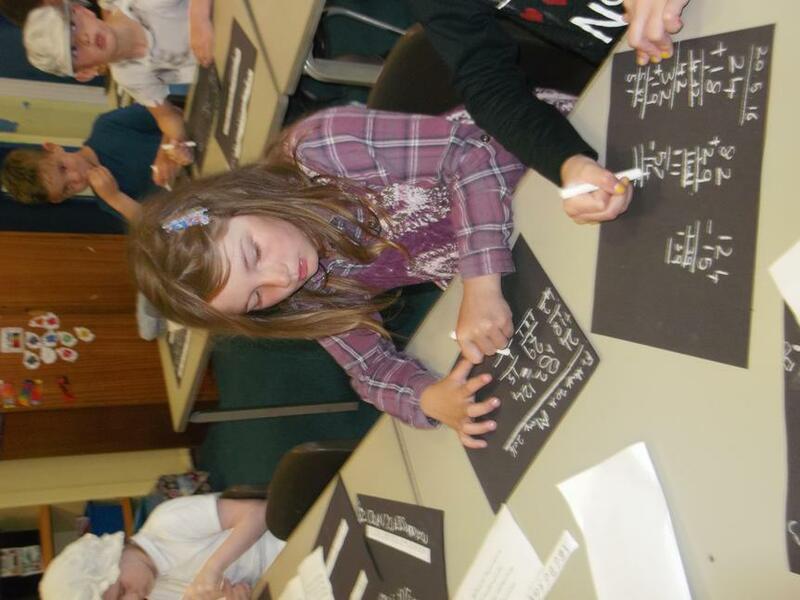 We also created our own music to represent a volcanic eruption using computer software. 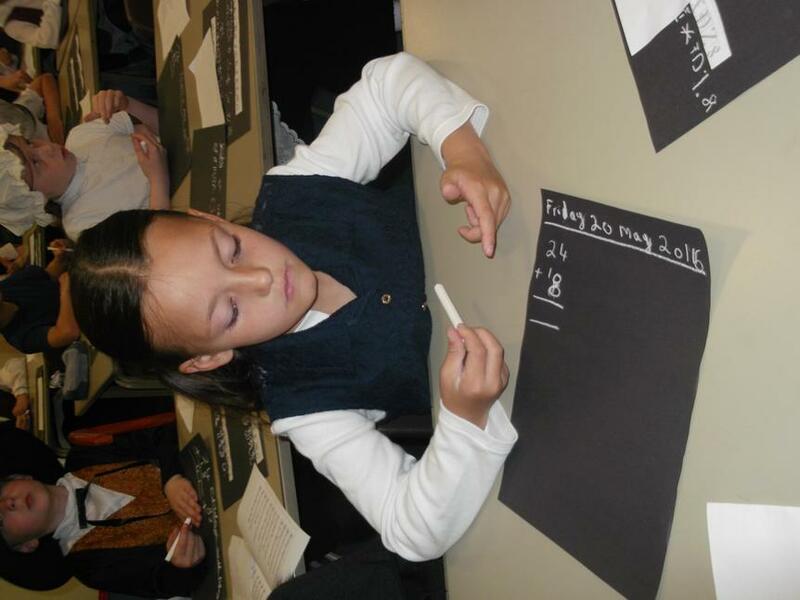 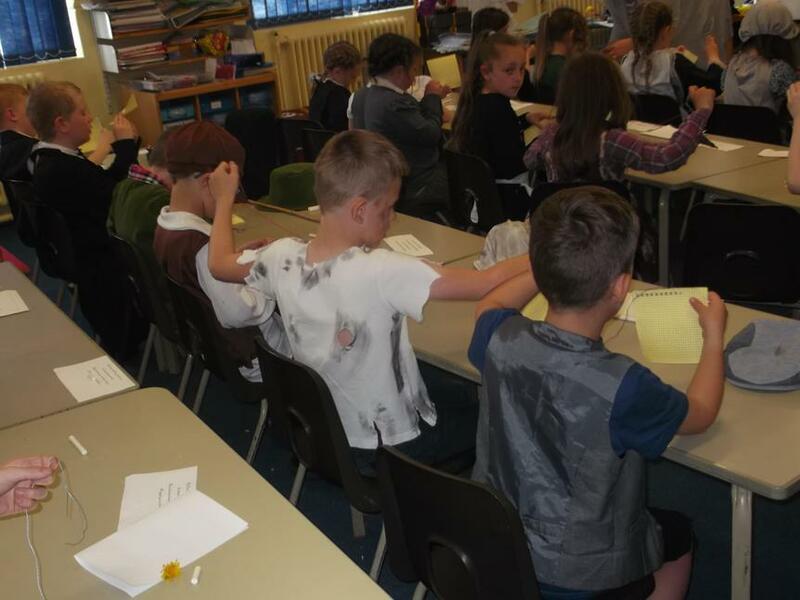 The children learnt about the different climates on a mountain and wrote a diary entry in the role of an explorer. 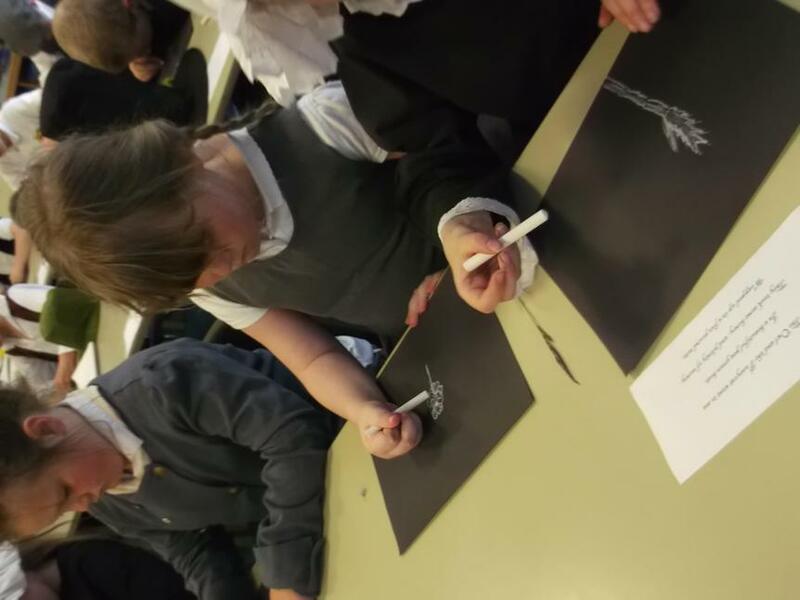 We also learnt about rocks and made some fantastic fossils! 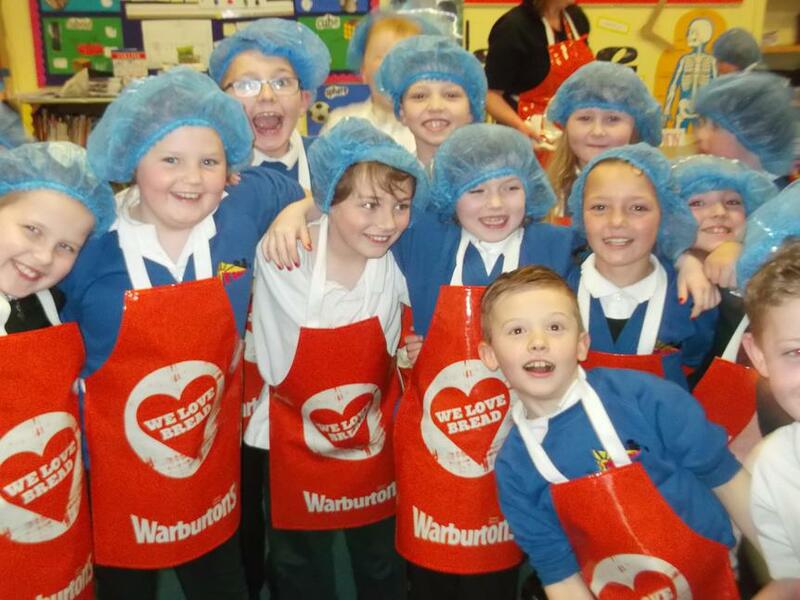 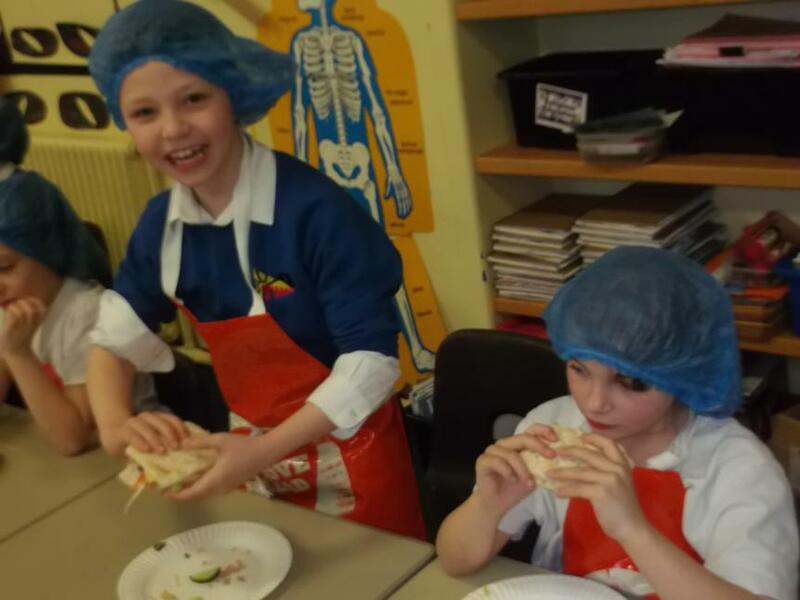 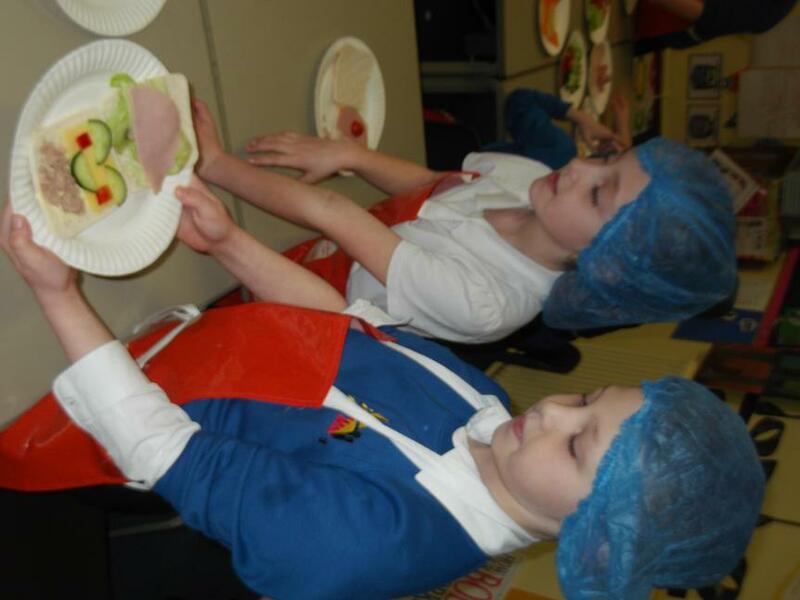 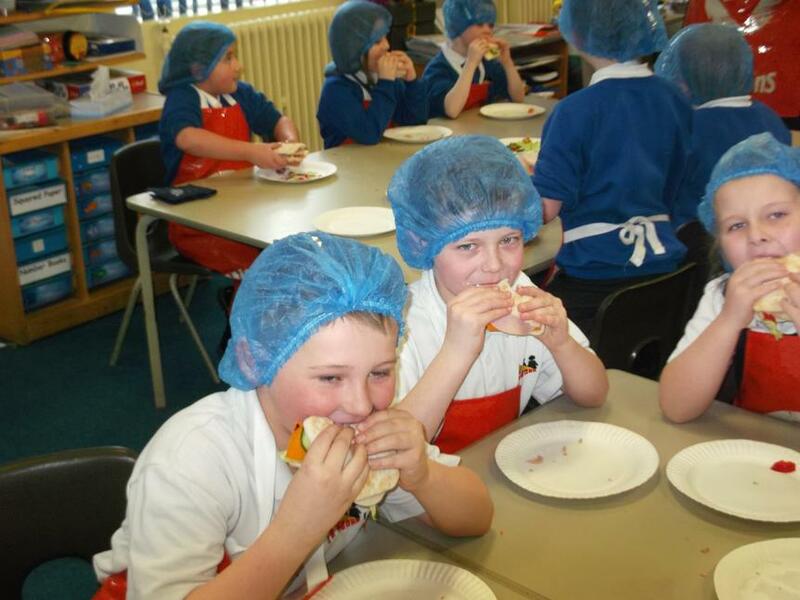 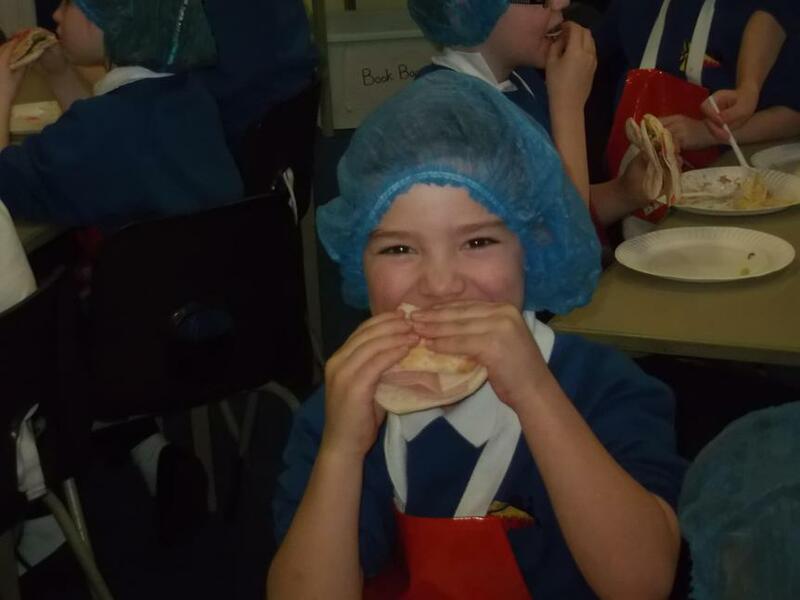 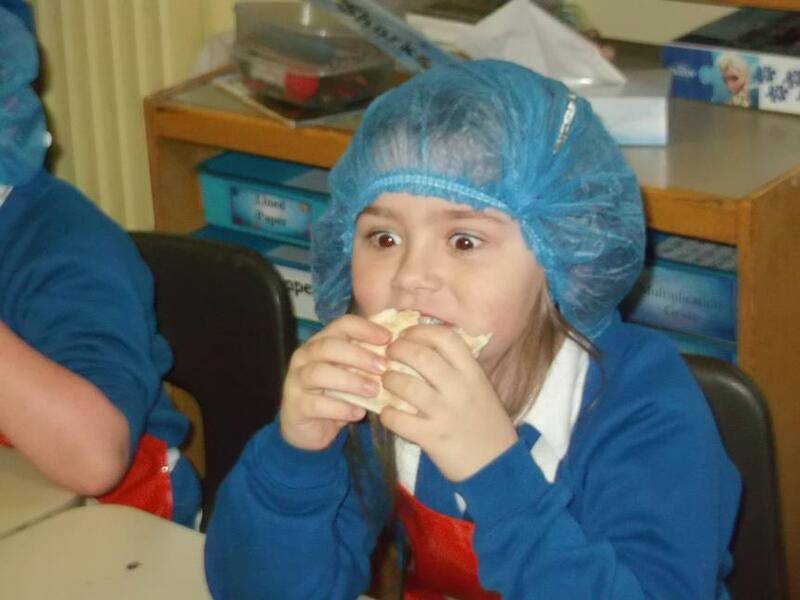 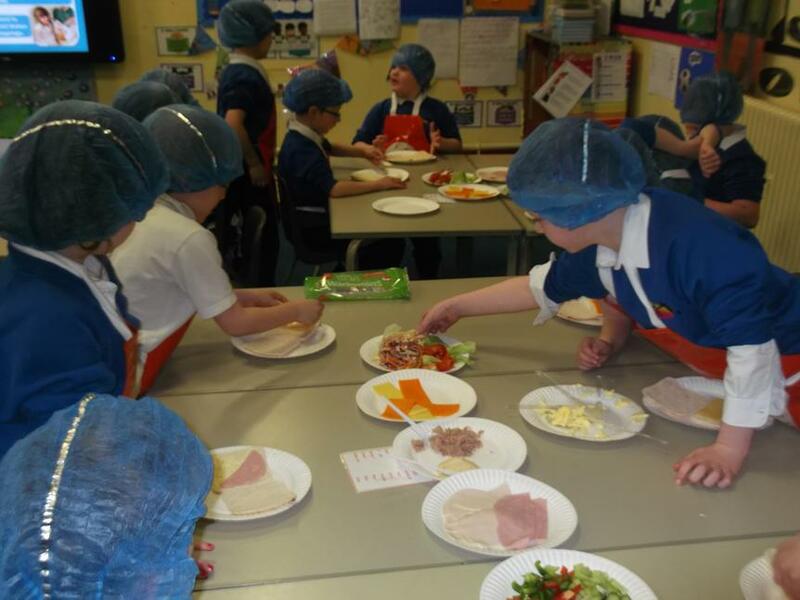 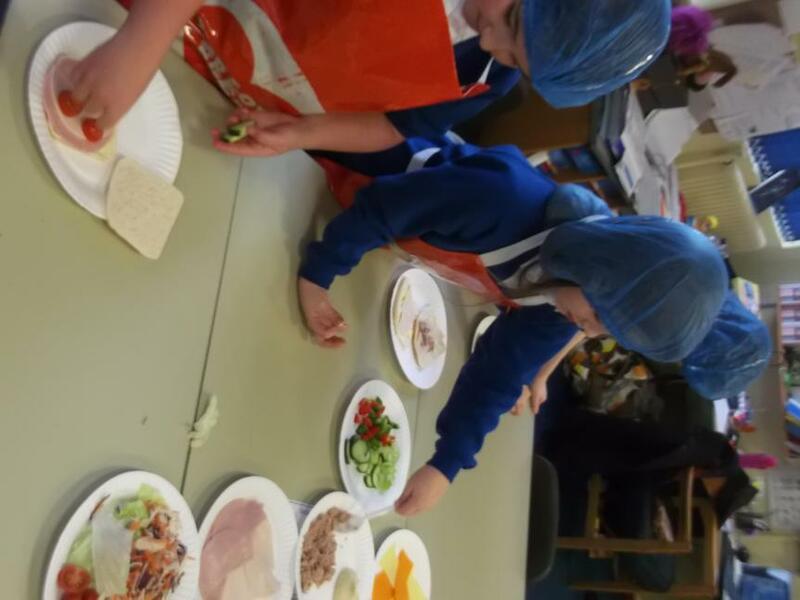 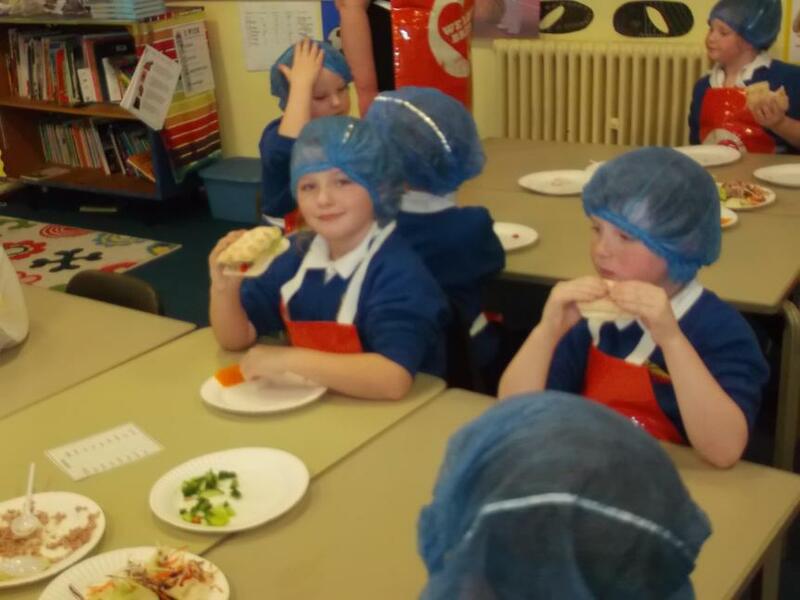 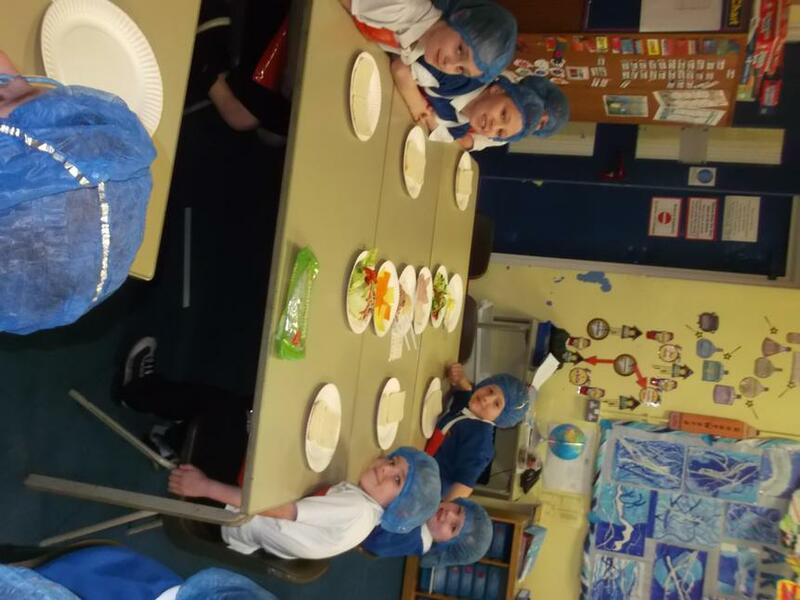 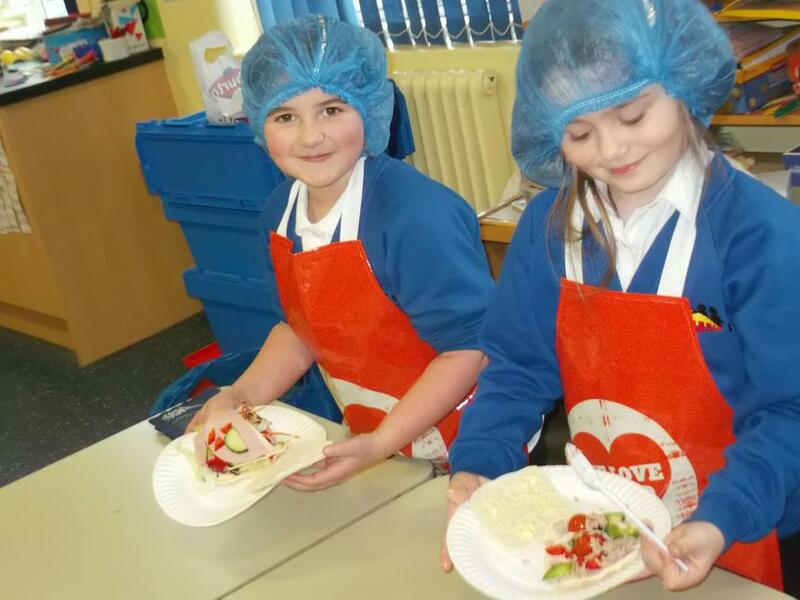 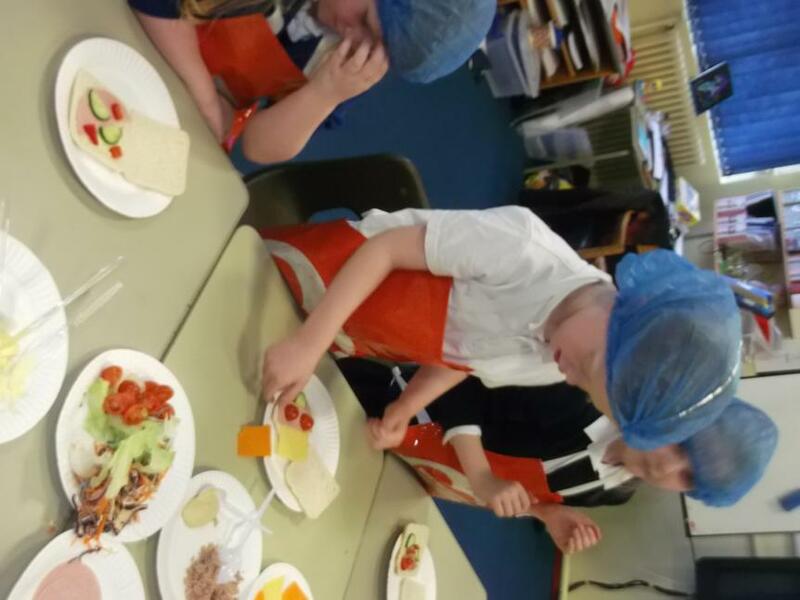 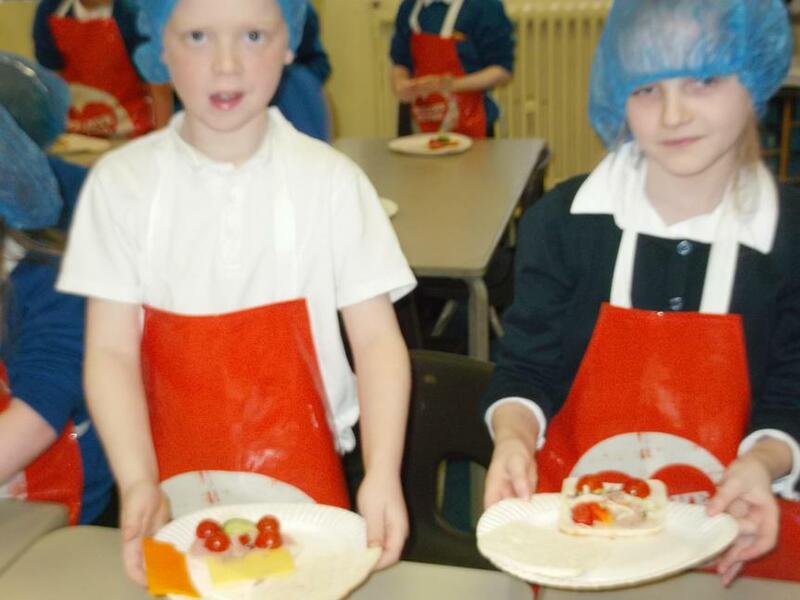 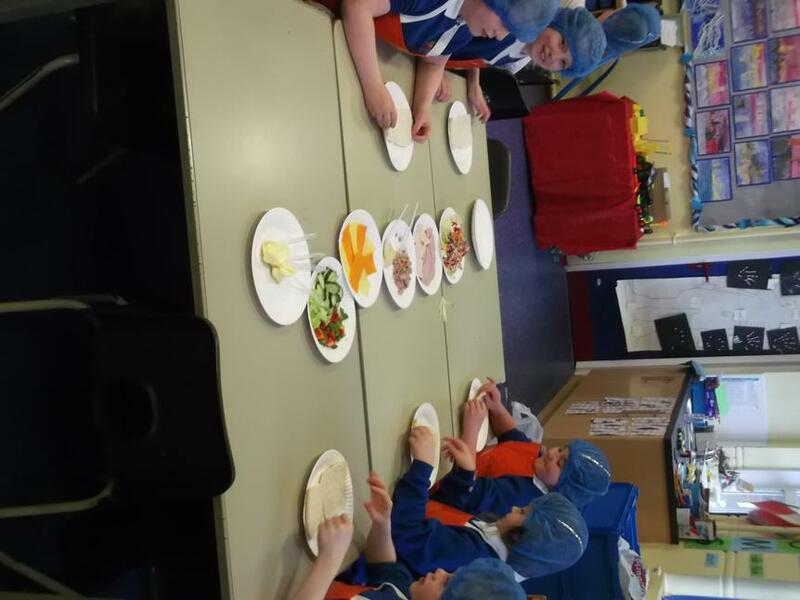 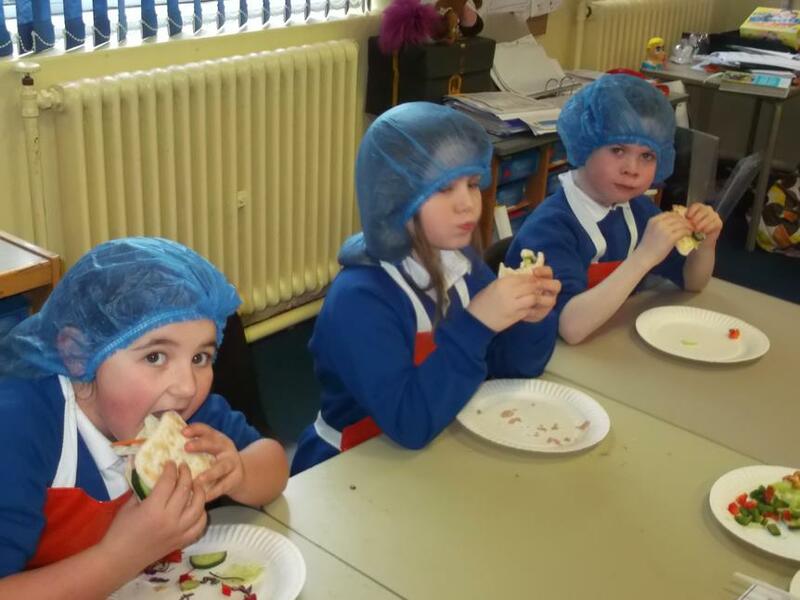 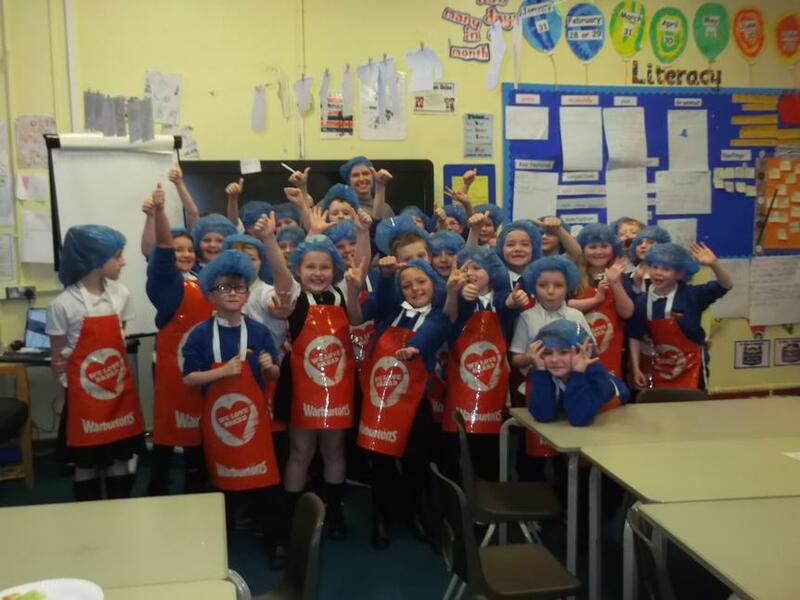 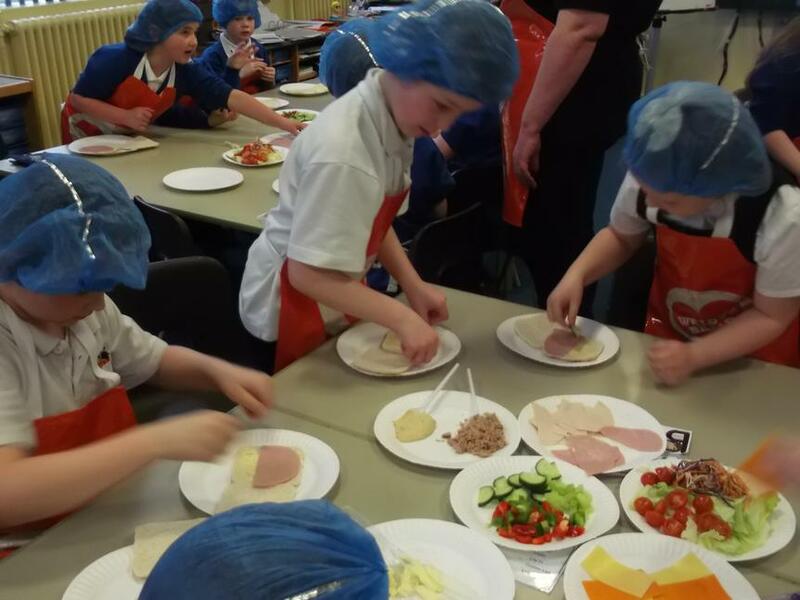 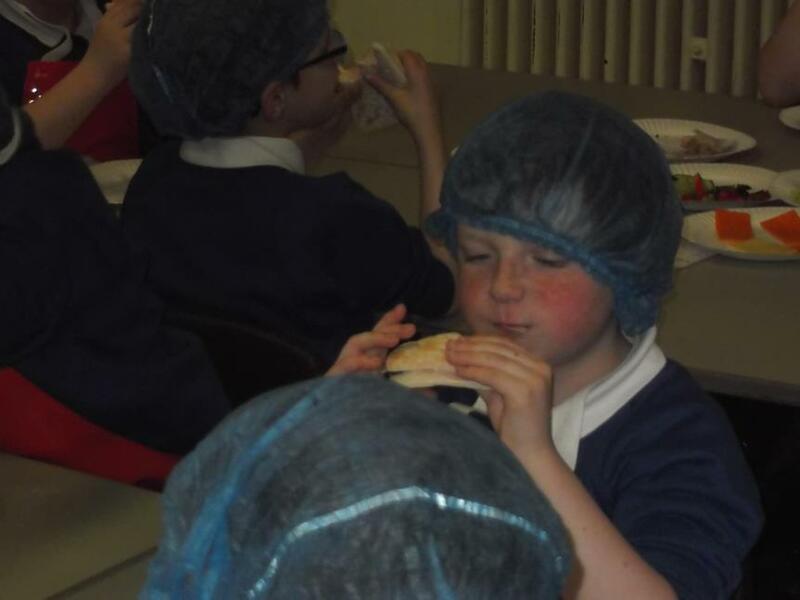 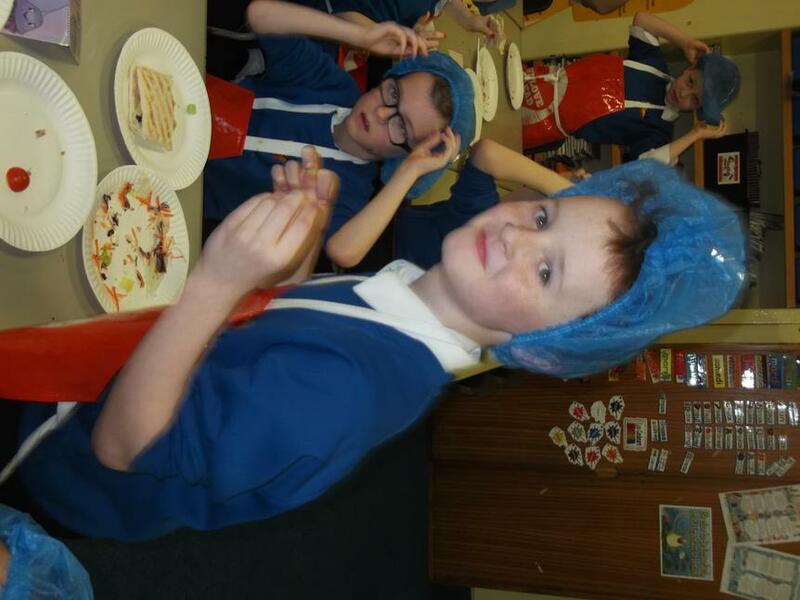 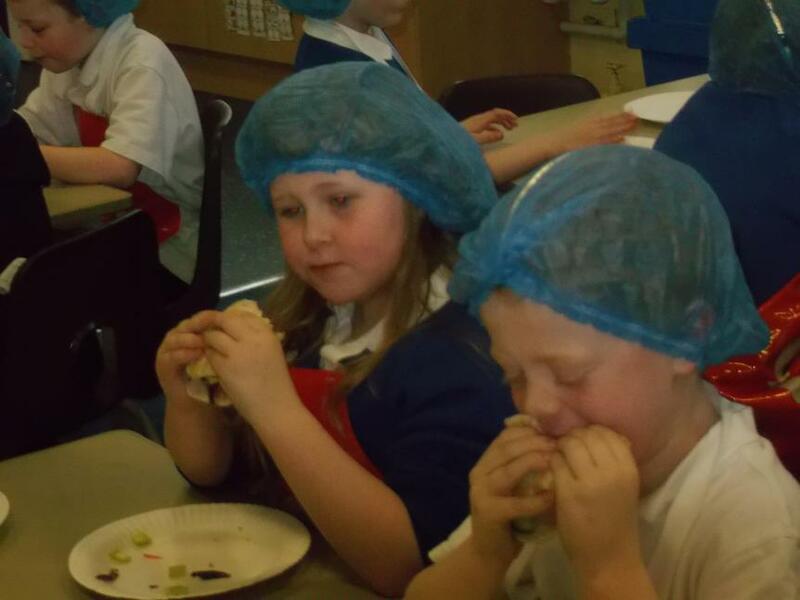 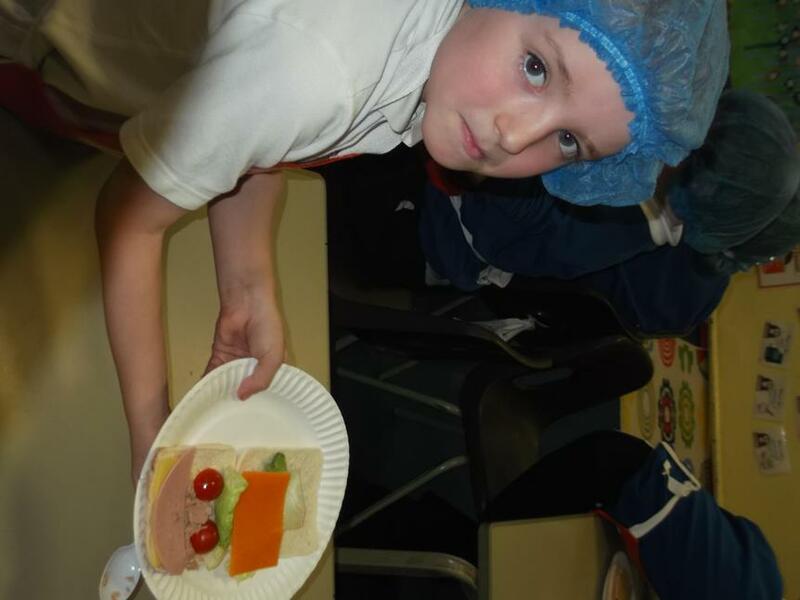 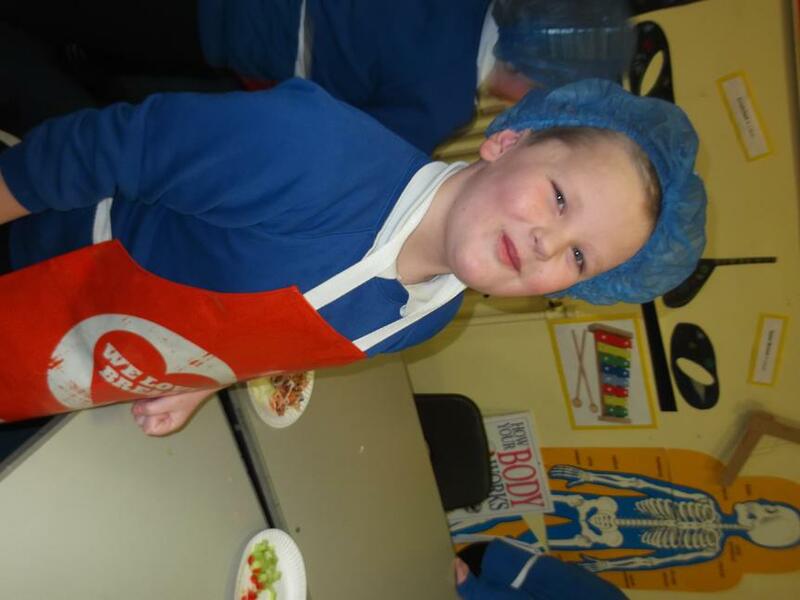 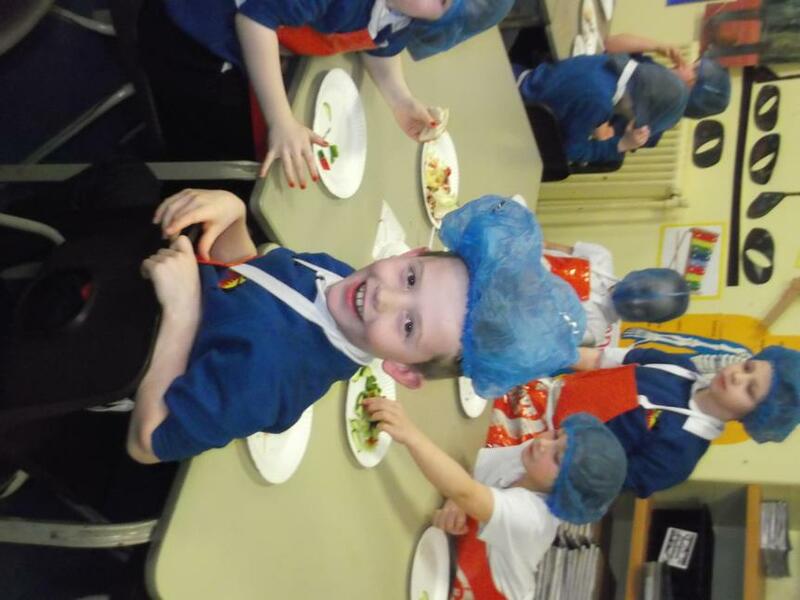 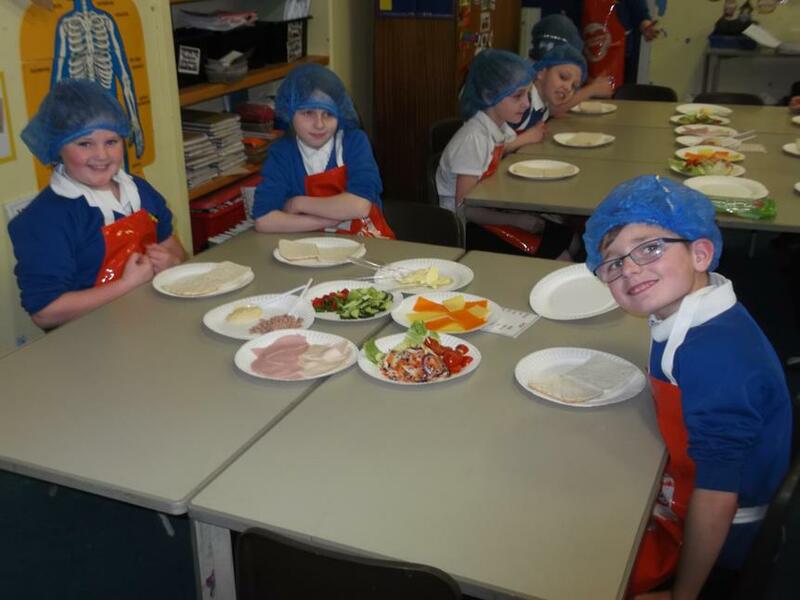 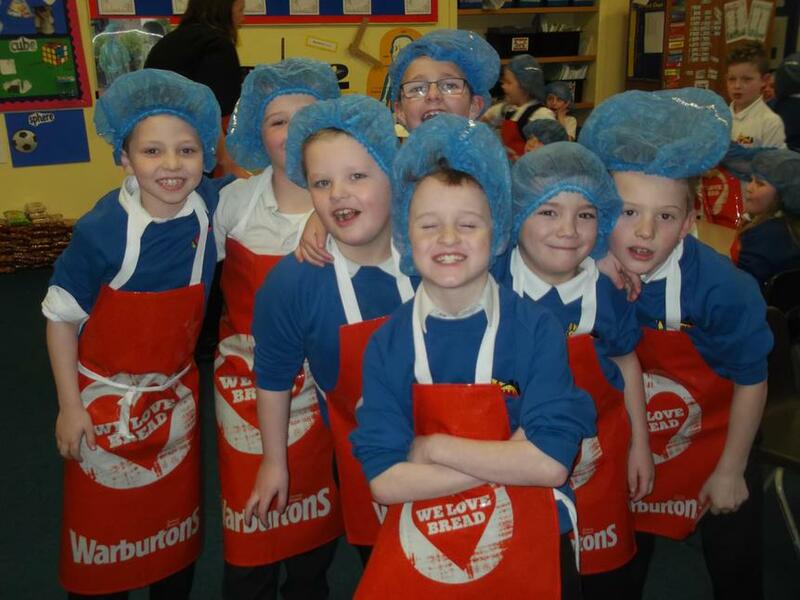 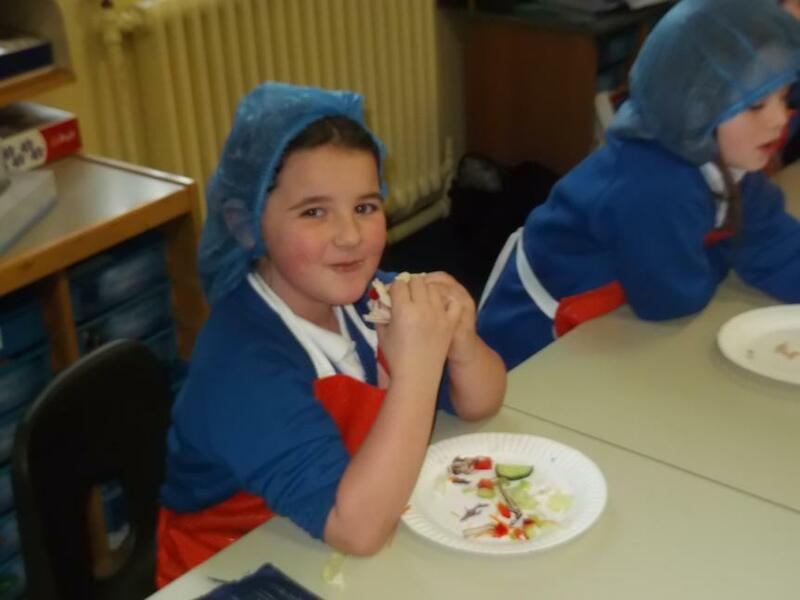 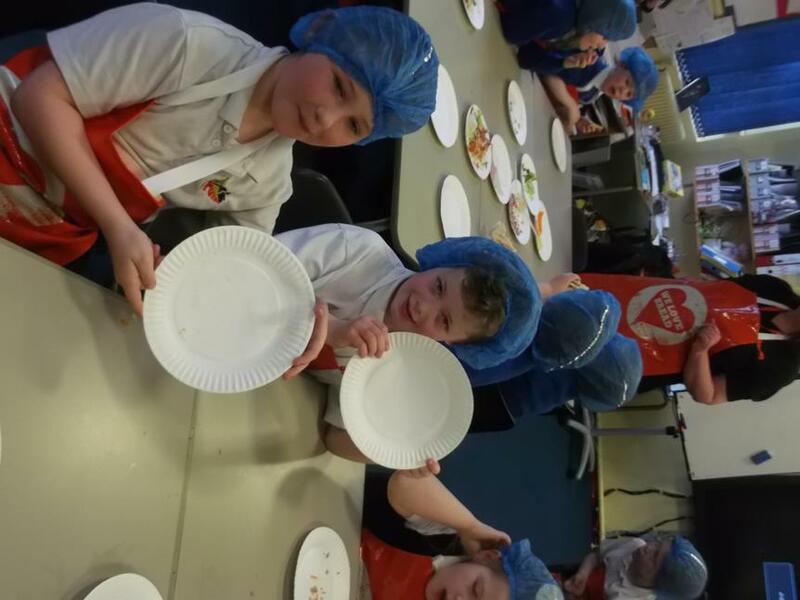 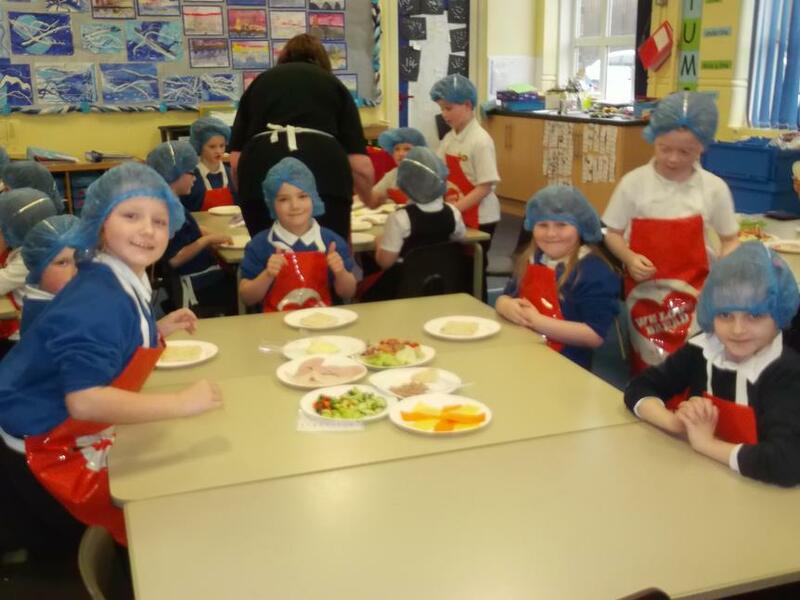 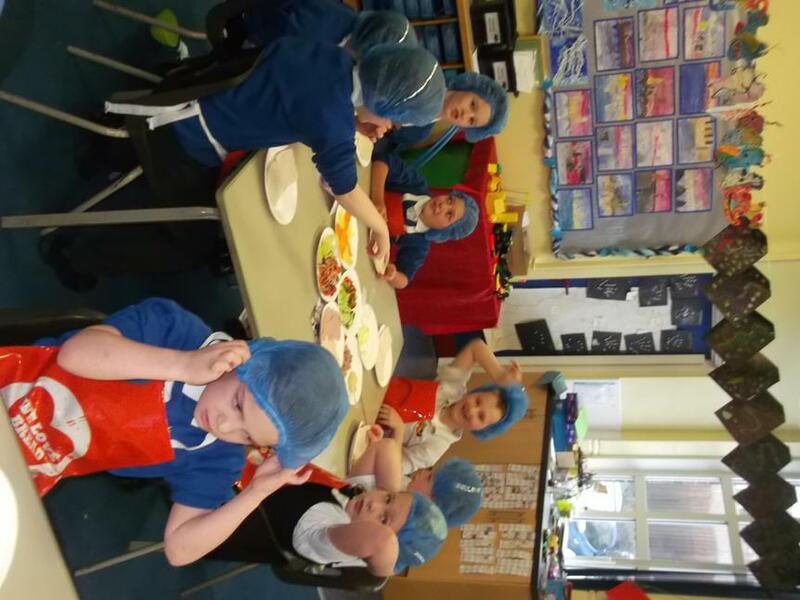 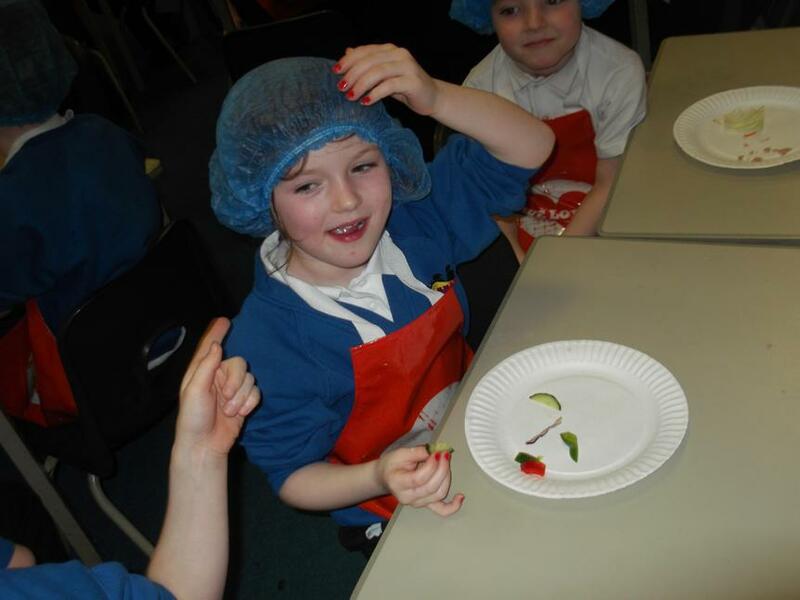 We enjoyed a visit by Warburtons and got to make our own sandwiches whilst learning about healthy eating choices.